PAUL CUMMINGS: It’s October 13, 1971 – Paul Cummings talking to Walker Evans at his home in Connecticut with all the beautiful trees and leaves around today. It’s gorgeous here. You were born in Kenilworth, Illinois – right? WALKER EVANS: Not at all. St. Louis. There’s a big difference. Though in St. Louis it was just babyhood, so really it amounts to the same thing. PAUL CUMMINGS: St. Louis, Missouri. 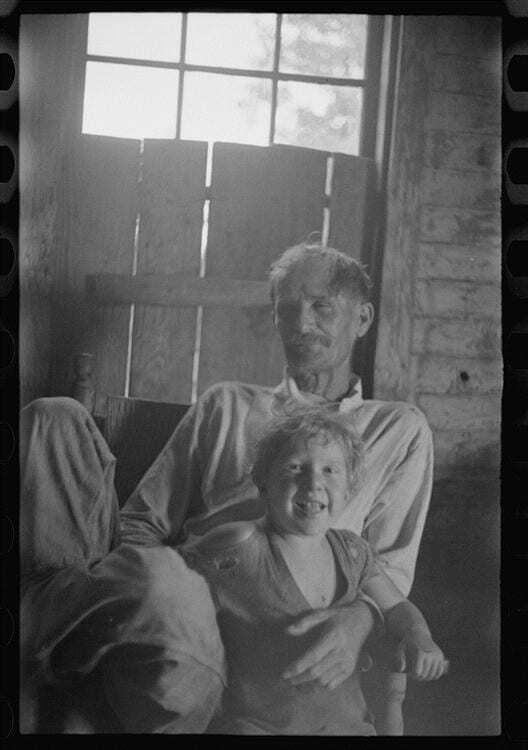 WALKER EVANS: I think I must have been two years old when we left St. Louis; I was a baby and therefore knew nothing. WALKER EVANS: Sure. Business. There was an opening in an advertising agency called Lord & Thomas, a very famous one. I think Lasker was head of it. Business was just starting then, that is, advertising was just becoming an American profession I suppose you would call it. Anyway, it was very naïve and not at all corrupt the way it became later. It was just perfectly honest to make a living. My father could write so he was a copywriter. And evidently got a better job in Chicago. He bought a home in the suburb of Kenilworth and moved up there. We were two children. PAUL CUMMINGS: Did you have a brother or a sister? 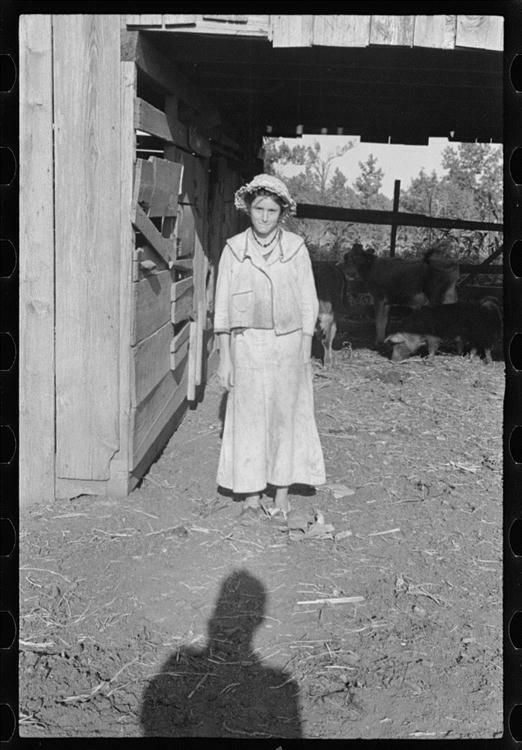 WALKER EVANS: A sister, who is older than I.
WALKER EVANS: I went to public school in Kenilworth. It was a little suburban town very restricted, all the same kind of people. So everyone in the school was good; everybody went to it. I still remember some of the good teachers there. 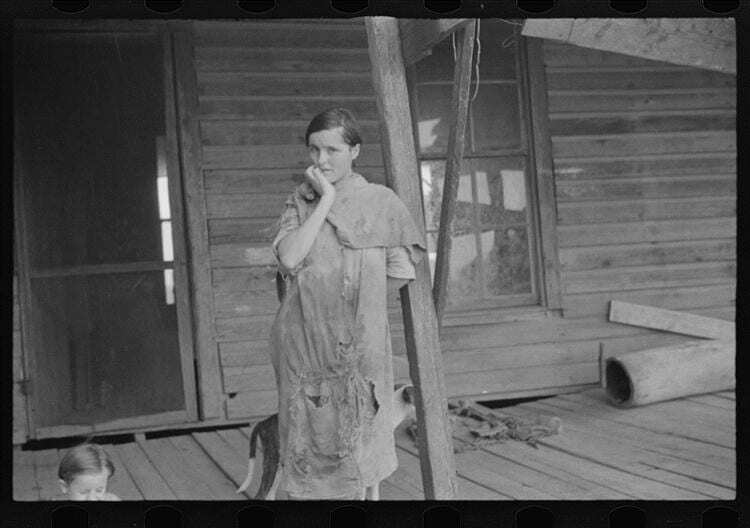 WALKER EVANS: Yes, a couple of women were fine. The teachers were all women. PAUL CUMMINGS: Do you find that the teachers were important to you at that point? WALKER EVANS: Oh, sure, oh, yes. PAUL CUMMINGS: They opened up the world? Or they closed it up? Or what did they do? WALKER EVANS: It wasn’t only the teachers. For example, there was a women in the town, a remarkable woman who was interested in children and was interested in literature and she got us reading outside of school. I formed my literary taste because of a woman in Kenilworth, Illinois, who used to read to us. PAUL CUMMINGS: Who was she? Do you remember her name? WALKER EVANS: Oh, she was a wonderful woman. Her name was Mrs. Sears – I guess that was her name – no, Mrs. Phelps; yes. Sears founded that little town. It was very English. He was English. It was an English green town, that kind of thing. It still exists, the plan, you know, curving streets and English names and all that kind of thing. Of course it had its drawbacks socially speaking. I didn’t know it but I was only seeing privileged people with a certain amount of money and security. It was sort of a Babes in Toyland fairyland. I didn’t know what the real world was like at all. We weren’t taken to the Chicago slums or anything like that. PAUL CUMMINGS: How did you meet this Mrs. Phelps? Was she involved with the school? Or was she a friend of the family? WALKER EVANS: Everybody knew everybody in the town. Oh, sure. They were all the same kind of people. And as I look back upon it, she was great. With love and intelligence, love of people and children, and intelligence, and knowledge and love of literature she just opened us up to it without our knowing it. PAUL CUMMINGS: What kind of things did you read then? WALKER EVANS: I must say that I don’t remember much about that. It was just that reading as an idea, as a concept, as a joy which led to a knowledge of what literature is, world literature is very important. It made me literate and articulate. But for that children grow up without that after all. But on the other hand I had literate parents with books at home and reading there. They read to me too. I just happen to remember this particular woman who was a literary woman more than my parents were. Although my father was a professional hack writer, he wasn’t literary the way this woman was. PAUL CUMMINGS: What kind of books did you have at home? All sorts? PAUL CUMMINGS: Was that a large school that you went to there? WALKER EVANS: No. The little town was only a mile square. They had a tiny school, a wooden building. They built a new one while I was there. I still remember the event of building a brick school. No, no. I don’t know the population but you can’t have very many people in a spread-out town that extended about one square mile on the lake front. PAUL CUMMINGS: How did your family select…. because you went from there to Loomis? WALKER EVANS: No, no. My father was offered apparently probably a lucrative job in Toledo with the Willys Motor Car Company to do their – to write their advertising – that is, no – that was done by the advertising agency and a Toledo agency drew the Willys account, I don’t know how. But I know that’s why we went to Toledo. Which of course was a shocking move for me at the age of twelve or something like that. Then to go to a big public school in a big really conglomerate city like that where everything was – well, I had a hard time, a rude time. 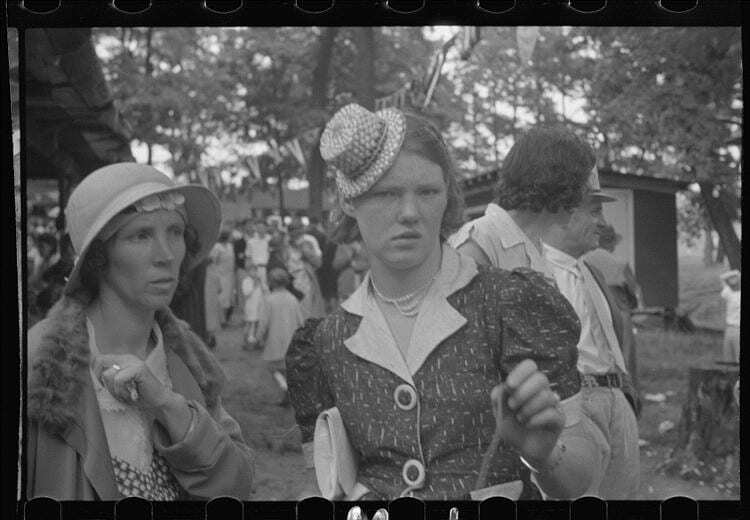 WALKER EVANS: Well, I mean just seeing underbred people. I had never seen that before. Without knowing it, I had been very sheltered seeing nothing but people who were clean and well bred, well-fed, well-educated and well-mannered and all that as a child. PAUL CUMMINGS: So you went to – what? – a large public school? WALKER EVANS: Yes. I even went to the high school for a year in Toledo. That was before I went to boarding school in the East. PAUL CUMMINGS: But you found the town a great shock from – ? WALKER EVANS: Yes. Really Toledo is an industrial town. I was in a pastoral town before that; a suburb really, but what I mean is an imitation, English, pastoral, socially, artificial town. Toledo was a small city full of immigrants. There were lots of Poles and Italians, and of course Jews and Blacks and all people I had never seen before. PAUL CUMMINGS: How do you think that affected you? PAUL CUMMINGS: Yes. The unknown quantity. WALKER EVANS: Yes. Insecurity, too. I was just nobody. In the other town I felt like a lord of the manor. I mean we had a servant and he used to call me “master” and all that sort of thing. You know, we weren’t well-off, we weren’t rich; but in those days people of moderate means had servants living in the house doing everything for them. Unthinkable now. PAUL CUMMINGS: Yes. You had an early interest in writing, didn’t you? WALKER EVANS: Yes, but that came later. Well, maybe then, yes, I already had because of all that reading with Mrs. Phelps. And I was always writing. I used to write things and hid them, put them away. WALKER EVANS: I’d write in a diary my confessions and descriptions of things I didn’t want anybody to see. I was very secretive. PAUL CUMMINGS: What kind of writing did you do? Was it just little notes, or did you write essays or stories? 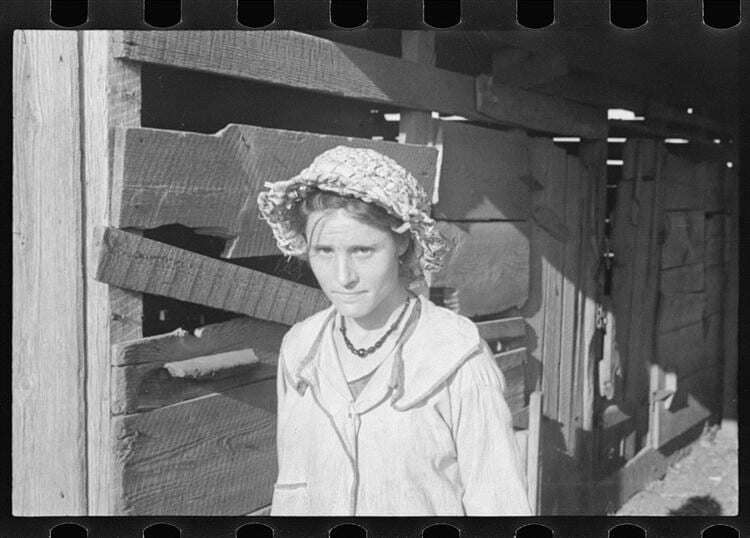 WALKER EVANS: Oh, I don’t remember that I did much out of school at that time. I always remember that I enjoyed English and was rewarded by always being given the top marks in English. It came easy to me. And the teachers always said, “This boy can write.” It was said behind my back but I knew they were saying that. PAUL CUMMINGS: Did you have interest in music and other things then, too? WALKER EVANS: Well, no, not so much. Some. That is, I loved it but I wasn’t given any musical education, it wasn’t around. My mother played piano by ear. All those people were interested in music for light pleasure that’s all. I knew the scores of La Boheme and Madame Butterfly and Puccini’s other things and all that sort of trivial, schmaltzy music. PAUL CUMMINGS: Were you interested in sports in school? WALKER EVANS: Well, sadly, yes. I longed to be one but never was any good at any one of them, inept. I could hit a baseball; I had a good eye. I mean naturally I wanted to be a hero, make a touchdown. I never could come anywhere near doing it. Oh, yes, I had all the desires and dreams for that. PAUL CUMMINGS: How did you come to go to boarding school then? WALKER EVANS: One doesn’t know. It was a decision made by the parents. I do remember finding out about that school because the boy next door went there. His parents obviously told my parents that there was a school, which was a new school starting up, reasonably priced, and supposed to be reasonably good, so they put me in it. It was disastrous for me. WALKER EVANS: I just hated it. I quarreled with the headmaster all the time. I was his natural enemy; he was mine. Therefore I didn’t do well. Finally I practically broke down and left the school; my father took me out after conferring…. They knew I was a misfit, a problem child. But I do remember my father taking me out and telling the headmaster what was the matter with him, why couldn’t they have taken care of me better than that. WALKER EVANS: Just a year and a few months of the new year I remember. PAUL CUMMINGS: It wasn’t a very large school then? WALKER EVANS: No. I don’t know how many, but anyway it was quite small. PAUL CUMMINGS: That was your first time, your first adventure living away from home, wasn’t it? WALKER EVANS: Well, yes. At that time my mother moved to New York with my sister to put her in a school in New York and took an apartment in New York. So then I was not going back to Ohio. I was sort of based in New York. My vacations were spent at my mother’s apartment in New York. PAUL CUMMINGS: What do you think there was about the school besides the headmaster that was so difficult? WALKER EVANS: Well, the whole English Christian gentlemen ethic, the sportsmanship, the highmindedness, and all that just made a naughty boy out of me and all the rest of it. Besides that I was more precocious than the rest of the boys in the school. They seemed like a bunch of babies to me. And they bored me. PAUL CUMMINGS: But it’s interesting because it’s such a shift. You’d think it would be easier because of the Kenilworth experience. Ohio changed that? WALKER EVANS: Well, no. I wouldn’t say that exactly. I would just say that I was in the wrong school. I think that my classmates were probably more like Kenilworth than they were Toledo. I understood them. I knew what their psychology was. PAUL CUMMINGS: But it didn’t make it any easier for you? WALKER EVANS: No. Well, I was evidently running into trouble which I probably don’t understand to this day myself. I don’t even think about it, or used to. I suppose I was near what is now called a breakdown and need for psychiatry and treatment and all that. But at that time we just rode it out. PAUL CUMMINGS: You spent one summer then in New York City, right? 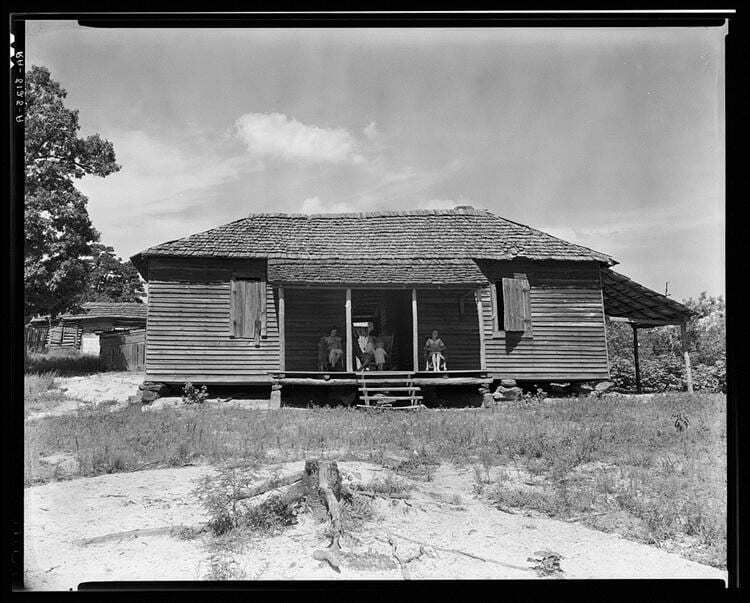 WALKER EVANS: No, we wouldn’t stay there in the summer. We would do to a summer resort, as I remember it. My father always had an eye on me. He wanted me, for example, not to waste time playing at a summer resort. He wanted me to have a job. And he would get me jobs. Once he got me a job in an automobile factory. PAUL CUMMINGS: How did that work out? WALKER EVANS: I didn’t do what he wanted me to do. He wanted me to learn what work and money was like. And I didn’t at all. It didn’t take. It was very well meant. You have to give my father credit for trying. PAUL CUMMINGS: Well, what did it produce, do you think? WALKER EVANS: Well, I really don’t know. I suppose bad things, perversity and frivolity and folly. PAUL CUMMINGS: The opposite side. WALKER EVANS: Yes. I must have learned something. You do; if you’re fifteen whatever is around, some of it, sinks in. I couldn’t put my finger on what the things were. Well, as a matter of fact, even now I do feel that it’s something for a kid to know what working in a factory is like, what the job holding world is like. PAUL CUMMINGS: So you worked in an automobile factory for a while? WALKER EVANS: Yes. I must say now that I think about it – I haven’t thought about it since then, I’m very glad of that. You know, one of the only ways to know people in general in a way is to work with them and then you are in the same boat. I think I was regarded as the gilded, privileged youth, to be sure; a summer out of private school and a job is given as a favor, not as a necessity. But nevertheless there you were, and you had to make yourself liked by those people and get along with them. That was good training, yes, sure. There my father did get something. But I didn’t learn about the value of money and work. I haven’t learned that yet. PAUL CUMMINGS: Well, there’s always something new. What about Andover? Was that, again, a parental choice? WALKER EVANS: No, that was my own choice. And I liked it much better. WALKER EVANS: For some reason or other, I had a romantic idea that that was a great school. It had a reputation of being one of the oldest and biggest – I suppose I’d read that; I guess I had been reading about the regular sort of Ivy League traditions “Stover at Yale” and all that nonsense and I think they all came out of Andover and liked it. And I wanted to go. And I walked in. In those days you could. Then of course I had the naïve assumption that boys have, that they can have anything, that their parents will give to them. I never thought of the fact that my father had to work to pay for that. I never thought of that for a minute. PAUL CUMMINGS: But that really was an exciting educational experience then? 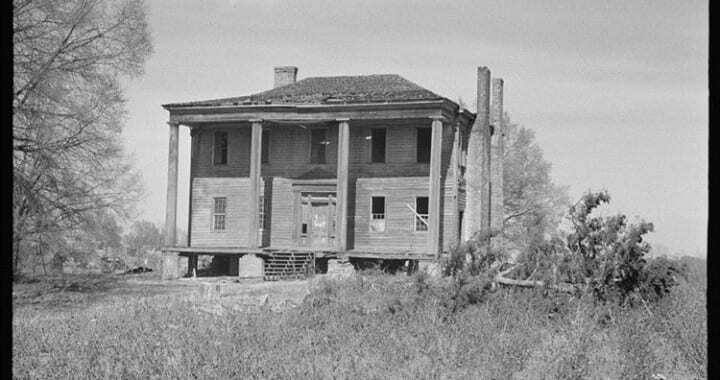 WALKER EVANS: Well, it was a bigger, much more grown-up school. They let you alone and treated you more intelligently. Gee, that Loomis School was really terrible. They had no idea of how to treat children, young men. They were insulting, hypocritical, and really degrading; awful. You didn’t run into that at Andover. Although it was the same thing. At least they had the sense to leave you alone. They knew that if you went out and got drunk it wasn’t the end of the world. It was part of your education, too; that kind of thing. I mean they had some sense. Good God. PAUL CUMMINGS: Did you meet many interesting students at Andover? WALKER EVANS: No. No, that was still the football days and the school athlete was the hero. There were only a few – I had a few companions who were interested in literature, let’s say, or reading and all that. But we almost had to keep that a secret. That was not done. PAUL CUMMINGS: Did you have any interest in becoming a writer because of this literary influence? WALKER EVANS: I certainly did. Yes, you’re damn right. Too much of a one; that’s what prevented me from – I was so taken with that and also I had such high standards that I couldn’t put them on paper. Now I realize that I didn’t have anything to write about, but I didn’t know that was the trouble then. Anyway I was dismayed by the fact that I couldn’t do it. PAUL CUMMINGS: Did you write a lot of school papers and things? WALKER EVANS: Yes. I also was thought to officially as a good English student. I used to always get A’s in English without any effort. PAUL CUMMINGS: You went off to Paris at some point after that? Or was that after college? WALKER EVANS: Ah, yes. That’s very important. That was after college – during college – I left college to go to Paris. PAUL CUMMINGS: From Andover you went to Williams? Did you select that, again? Was that your choice? WALKER EVANS: Well, no. I went to Yale and I found that I really wasn’t in. Most of the Andover boys just walk into Yale. I didn’t have quite enough credits or whatever they call them. Due to an administrative mix up I was allowed to go down there and I think was even given a room. But I was told by the dean that I wasn’t in, or there were too many what they call conditions or something – in Latin – I don’t know what. You know, a boy of seventeen or eighteen hasn’t got any sense at all of what he’s doing. Somebody said that the Dean of Admissions at Williams was an Andover man and “Why don’t you run up there and walk in?” And I did. Which all was a mad, unintelligent, stupid, undirected thing. I don’t think that my parents even knew what I was doing or where I was. PAUL CUMMINGS: Were you involved with them? Or were they involved with what you were doing? 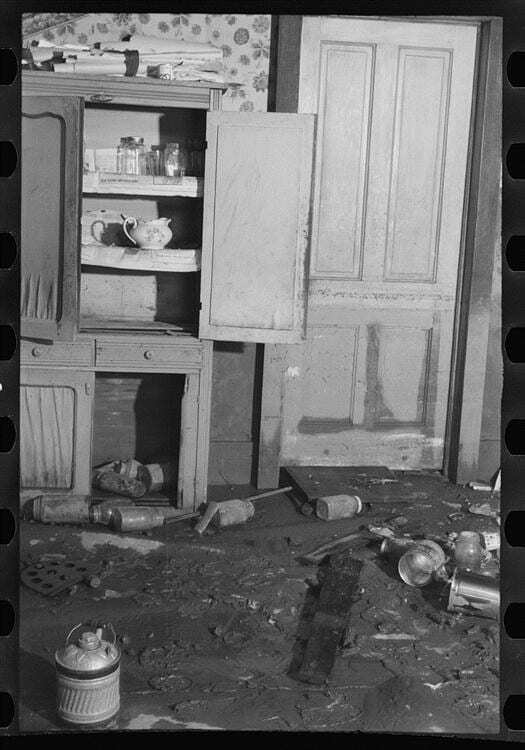 WALKER EVANS: Well, they were having a lot of trouble with there own lives. I suppose – although they didn’t mean to – I must have felt some neglect. Although I wouldn’t accuse them of neglect. If they were in confusion that must have been it. You see, I didn’t see much of either of my mother or my father at that time. And I don’t think I felt like turning to them either. I think I must have been rather alienated. PAUL CUMMINGS: You didn’t go home on holidays and things like that? WALKER EVANS: Yes, I did. Well, I mean I would go home for Christmas vacations, sure, to the New York apartment where my mother was. PAUL CUMMINGS: So you didn’t really have much direct influence from your father, for example? WALKER EVANS: No. I think all parents influence you profoundly; but sometime not in a direct way that you can put your finger on. I have an idea that you are very much a product of what each of your parents is. I was no exception. PAUL CUMMINGS: How was Williams? You found that an interesting experience? WALKER EVANS: Oh, no. I was bored with Williams. I was still I guess what’s called now a maladjusted young man. I didn’t do well there. I didn’t pay much attention. Either I was bright enough, or the school was easy enough so that I didn’t have to work academically to be in good standing, to pass, so to speak. I used Williams very, very positively for reading. Really that was subsidized leisure time to read. I went to the library and read. There was a very good little library. Somebody had left a good collection of modern first editions I remember. I would discover people like George Moore and I don’t remember who all, and I would sit there reading these things, and neglecting my studies but passing them anyway by listening in class and getting low grades in examinations, you know, gentleman’s C’s. Do you know what that is? WALKER EVANS: That’s what I got. PAUL CUMMINGS: But did you still pursue your interest in wanting to become a writer at Williams? WALKER EVANS: Yes. More so even. There were a few more boys there to read with and discuss books with. I became intensely literary in that one year, yes. But it had almost nothing to do with the English classes in school at all. It was outside. But just look who was publishing then! That’s who I was reading: Lawrence, Virginia Woolfe, all those people. I was in the class of 1926. This was taking place in 1922-23. T. S. Eliot was just coming up. You can be sure that Williams didn’t teach you those. You had to go and get them. But we did. PAUL CUMMINGS: So you knew what was really modern? WALKER EVANS: You’re damn right. I was right there. I now pride myself on that. PAUL CUMMINGS: Was that through your friends? Or your own discovery? WALKER EVANS: Yes. Both. It always is. These things generate. I’m fatalistic about it. I think the boys that should know T.S. Eliot as he’s coming up do know him. PAUL CUMMINGS: It’s part of their world. PAUL CUMMINGS: Well, you went off to Paris? WALKER EVANS: I certainly did. Yes. PAUL CUMMINGS: How did that come about? Was that because of your reading about Paris and those places? WALKER EVANS: Oh, sure! I’ll bet you George Moore sent me to Paris. Of course it was. Yes. There, again, too I just sensed that that was the place. And I was right. I guess I took advantage of my parents’ distraction, whatever they were going through, and I got that paid for as part of my education. PAUL CUMMINGS: You did audit some classes at the Sorbonne? WALKER EVANS: Oh, sure. I even enrolled, but not for a degree. I enrolled in their classes for foreigners. I also went to the College de France lectures quite a lot. They were exciting. I was intensely a Frenchman by that time, and determined not to speak English. I dressed like a Frenchman even. PAUL CUMMINGS: Where did you go and what happened in Paris? You met lots of people there? WALKER EVANS: No. I was very poor and obscure and quite unhappy and lonely. No, it wasn’t what most people think Paris in the golden age was. Not for me. I didn’t know anybody. But I was intensely excited about and interested in the ferment. I felt that was a very exciting artistic period in Paris in the twenties. It was in the air. I lived on the Left Bank. I lived with a student and knew what was going on. PAUL CUMMINGS: Did you know any writers or painters or people on the culture scene? WALKER EVANS: No. You see, I felt very much outside of all that because I was nobody. And I wasn’t doing anything. I was absorbing it all. The thing that kept me from knowing the Americans was that I was anti-American. I was not fleeing them but I disdained the moneyed, leisured, frivolous, superficial American who didn’t – well, like Scott Fitzgerald. I wouldn’t have paid any attention to him at all, however famous and successful a writer he was, because he wouldn’t speak French and had materialistic values. He was in love with the rich. I though this was terrible. I would have nothing to do with it. Also they were older, too. I mean Hemingway was five years older. That’s a lot at that age. PAUL CUMMINGS: Yes, at that point. WALKER EVANS: But I was aware that there were these great people around and people like the Gerald Murphys were entertaining them and all that. I was in flight from that. I wouldn’t have gone near it. PAUL CUMMINGS: You didn’t go to famous bookstores or anything like that? WALKER EVANS: Oh, yes. I did go to Sylvia’s Beach’s. I used to see James Joyce. I used to talk to Sylvia. She sensed that I knew my Joyce and she said, “I’ll introduce you to him.” But I was scared to death to meet him. I wouldn’t do it. He came in and I left the shop. PAUL CUMMINGS: You got into Joyce very early then? – right away. WALKER EVANS: Yeah, sure. During the publication of Ulysses. Yes, I really got in. He was my god. That, too, prevented me from writing. I wanted to write like that or not at all. PAUL CUMMINGS: You wanted to sort of start at the top and go higher. WALKER EVANS: I think he ruined many a young man. And he was our god to the last man. We would die for him. Oh, yes, we took that damn seriously. That was literature. PAUL CUMMINGS: Were there any other writers that interested you at that point? WALKER EVANS: Oh, sure, yes. Now as I look back on them they were the conventional classical ones; at that time they were avant-garde and little known. I read them all of course; passionately. Sure. PAUL CUMMINGS: How long were you in Paris? PAUL CUMMINGS: And you didn’t get involved with French life very much, or not? WALKER EVANS: A little, but not importantly. I lived purposely with French people. You know, that’s the regular thing to do; if you were a student at the Sorbonne you could find a pension where you had to speak French. So I did that. I always ate with and lived with people that took foreign students. Oh, sure; I was always in a French house, two or three different ones. PAUL CUMMINGS: Did you get to know other students? PAUL CUMMINGS: There were no people you’ve kept up with from those days, are there? WALKER EVANS: No. Not a soul. But, you know, I had some pretty good friends later on that I remember. But, no, I don’t know anybody now. PAUL CUMMINGS: You came back in 1927 – right? PAUL CUMMINGS: Do you know why you came back? Was it just that the time was up? Did you have any specific direction? WALKER EVANS: Well, I don’t know that I can put my finger on it now. I guess I sensed that I had just about used up my credit, for one thing, that I had no right to ask my father to support me any more. Either that or I was told to come back. Or maybe it was just inferred it was time. PAUL CUMMINGS: On coming back here did you have a job or anything to do? WALKER EVANS: Nothing. Nothing to look forward to, nothing to do. I was in fear and confusion really. PAUL CUMMINGS: And you still were not writing? WALKER EVANS: No. I must have felt a terrible failure and therefore I must have felt very scared and insecure. I’m sure I did. PAUL CUMMINGS: What happened on your return? You had – what? – temporary jobs and things of that nature? WALKER EVANS: Yes. I had odd jobs. I guess soon after that I got hold of a camera and got passionately interested in that. I do remember having jobs at night at two different places, once on Wall Street, and once at the New York Public Library so that I could have the days free. I photographed during the day. PAUL CUMMINGS: How did the camera appear? Was that through a friend? Or what happened? WALKER EVANS: I really don’t know very much about that. I just don’t know. As a boy I had a cheap little camera and I had gone through the hobby photography experience developing film in the bathroom and so on. And I think it came from painters. Several of my friends were painters. And I had a visual education that I had just given myself. PAUL CUMMINGS: Who were the painters? WALKER EVANS: Well, I don’t know anybody that you’d speak of now. There was a German boy who turned out to be a terrible failure. A very sad case. He lost his confidence. He was a pretty good painter but he couldn’t make it. He was starving all of the time. I got to know him; I guess I must have met him in the Library. He was a very interesting but semi-pathological, I mean melancholy guy. I guess I romanticized his European background. This guy was gifted, though, he was a real artist. I was always interested in artists. PAUL CUMMINGS: Where do you think that came from? Through literature? WALKER EVANS: I don’t know. No, no. I was just drawn to that. Partly I think added to it is the fact that I think I associated that with forbidden fruit, really. It was not the thing to do. So I would do it. PAUL CUMMINGS: The bohemian life and adventure thing. PAUL CUMMINGS: Were there any other artists that you knew at that point? WALKER EVANS: Well, a little later, yes. Quite a lot. PAUL CUMMINGS: But I mean in the late twenties. WALJER EVANS: What year are we talking about now? WALKER EVANS: Yes, I began to know artists and writers in the Village and in Brooklyn and Brooklyn Heights. PAUL CUMMINGS: Did you live in the Village or in Brooklyn? PAUL CUMMINGS: Yes, moving around. WALKER EVANS: Yes. I was the young bohemian artist, absolutely typical; although at the time I didn’t know it. But I was. PAUL CUMMINGS: Let’s see, you started becoming interested in photography again after about 1928? PAUL CUMMINGS: What kind of things did you photograph? What were you interested in doing with the camera at that point? WALKER EVANS: I think I was photographing against the style of the time, against salon photography, against beauty photography, against art photography. WALKER EVANS: Yes. Even including Stieglitz. I was doing non-artistic and non- commercial work. I felt – and it’s true – I was on the right track. I sensed that I was turning new ground. At least I though I was mining a new vein, sort of instinctively knowing it but not in any other way aware of it. PAUL CUMMINGS: Did you know the photographers at that time? WALKER EVANS: No. I wasn’t drawn to the world of photography. In fact I was against it. WALKER EVANS: Yes. I was a maverick outsider. PAUL CUMMINGS: You really seem to have always been pushing the wrong thing all the time. WALKER EVANS: Yes, I was against the grain. PAUL CUMMINGS: After you got the camera what did you start with, would you say? Was it the city? Or people? Or signs? WALKER EVANS: Both. As a matter of fact, I really think I was on the right track right away and I don’t think I’ve made very many false moves. I now feel almost mystical about it. I think something was guiding me, was working through me. I really do. I feel that I was doing better than I knew how, that it was almost fate. I really was inventing something but I didn’t know it. PAUL CUMMINGS: You hadn’t studied photography with anybody or anything? WALKER EVANS: No. Well, I worked at it. I taught myself photography. I got all the books and also talked to anybody that knew anything about it. And I was interested in the technique of it. Oh, sure. PAUL CUMMINGS: What kind of cameras did you use when you started? WALKER EVANS: Anything I could get my hands on. PAUL CUMMINGS: Anything that worked? WALKER EVANS: Sure. That puts me – I mean my time puts me back in photography into a very interesting, very archaic period – glass plates, monochromatic film, no meters, no filters, none of those things. You had to learn how to expose. PAUL CUMMIGNS: Right. It was all guesswork and experimentation. PAUL CUMMINGS: What do you think were the qualities of salon photography that aggravated you or that you reacted against? WALKER EVANS: Oh, conventionality, cliché, unoriginality. PAUL CUMMINGS: Well, what about Stieglitz? You obviously knew about him and Camera Work and publication and his gallery. WALKER EVANS: Stefan Hirsch, a painter – did you ever hear of him? Do you remember the name? 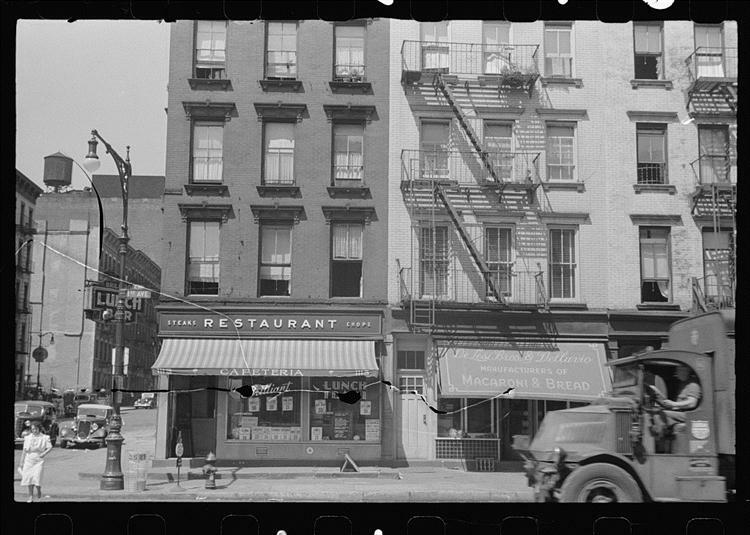 WALKER EVANS: He was living in Brooklyn Heights. I got to know him. He knew Stieglitz and knew that I was photographing and evidently liked my work. He sent me to Stieglitz with a note saying – I still remember this – “Please look at this young man’s work.” That was my first encounter with Stieglitz. PAUL CUMMINGS: How did that work? WALKER EVANS: Oh, it was disastrous on both sides. We didn’t like each other. I “fell in love” with Georgia O’Keeffe – well, you say that in quotes. I mean as a matter of fact I actually did without knowing it. I was very taken with her because she was nice to me, and was sensitive and beautiful. And I was probably starved for that kind of thing. And here was this wonderful woman. Stieglitz wasn’t there when I arrived. She begun talking to me with kindness and understanding and, naturally, I was crazy about her. I opened up and spent half an hour talking to her before Stieglitz came in. I showed her my work…. oh, yes. PAUL CUMMINGS: Did he not like what you were doing? Or was it just – ? PAUL CUMMINGS: And that was the end? PAUL CUMMINGS: Did you ever have contact with him after that? WALKER EVANS: No. I think I met him just once. I never went back. WALKER EVANS: No. And I was very shy. I only went because I felt I owed Hirsch the presentation of his letter. And having done it and having found that there wasn’t anything going on between Stieglitz and me I never bothered to go back, in spite of the fact that I was loving Georgia from afar. She was marvelous. She was really charming. Although I wasn’t interested in her painting very much. She was just a hell of a warm, nice woman, really generous and really giving, really sensitive. As we should be with a younger person. I mean they need it terribly. And we don’t give it very much. They don’t get very much kindness and understanding. They just don’t get it. I think we ought to go in. It’s going to get chilly out here. PAUL CUMMINGS: Oh, he was so big and blustery. PAUL CUMMINGS: You had those evening jobs – you had one at the Public Library? PAUL CUMMINGS: How did you ever happen to work there? Just something you heard about? Or was it because it was a night job? WALKER EVANS: I have loved books so much – I’m almost a pathological bibliophile – and I was drawn to it. I wanted to get into the stacks of the Library. I really went to work there because I wanted to see the stacks. You couldn’t see it otherwise. I went to the head of the Library and said, “I’ll work here for nothing.” I think he said it was against the rules but he gave me a job tracing books. You were a book runner. Well, he could see that I was a college kid. I now can see what college kids are like. Anyhow, I got a paying job there in the map room at night. PAUL CUMMINGS: What actually did you do there in the map room? What were the duties? WALKER EVANS: There was a special room for maps. I’d give them out. People came there and they’d sign up and ask for a map and I’d go and get it for them. PAUL CUMMINGS: How long did that last? – a few months? A year? WALKER EVANS: Yes. Something like that. Maybe a year. PAUL CUMMINGS: And the Wall Street job came after that? WALKER EVANS: I don’t know. Probably at the same time. No, wait a minute. As a matter of fact, I think that the Library job was before I went to France and the Wall Street job was afterward. That’s the way it was, yes. PAUL CUMMINGS: Wall Street didn’t interest you? WALKER EVANS: In a way everything interests me and nothing. Of course it didn’t interest me really. Part of it would fascinate me. Sure. Well, I was at the bottom with the dregs. PAUL CUMMINGS: In the back room with all the paper and stuff. WALKER EVANS: Yes. Sorting out numbers. PAUL CUMMINGS: But you were busy taking photographs during that time? WALKER EVANS: Oh, yes. At the Wall Street time, yes. WALKER EVANS: I had a passion for photography. I could think about nothing else much; reading and photography. PAUL CUMMINGS: Were there older photographers that interested you? PAUL CUMMINGS: That you studied or looked at? WALKER EVANS: No. Nothing. Well, I did get excited over one Paul Strand picture. I remember his famous Blind Woman excited me very much. I said that’s the thing you do. That really charged me. WALKER EVANS: Well, that’s what attracted me in art. I mean I would read a book like Thompson’s Hunger and that was a joy because I thought that was real. It really wasn’t. But the lack of judgment of this particular youth – me – led me to believe that since I had a genteel upbringing that real life was starvation; so that it was honest to write about that. That’s all wrong; but that’s what I thought. I thought to photograph the Blind Woman was the thing to do. PAUL CUMMINGS: It was very close to that time that you got involved with Lincoln Kirstein and Ben Shahn and all of these people? WALKER EVANS: That came a little later. But I did, yes. PAUL CUMMINGS: This was the early thirties, wasn’t it? 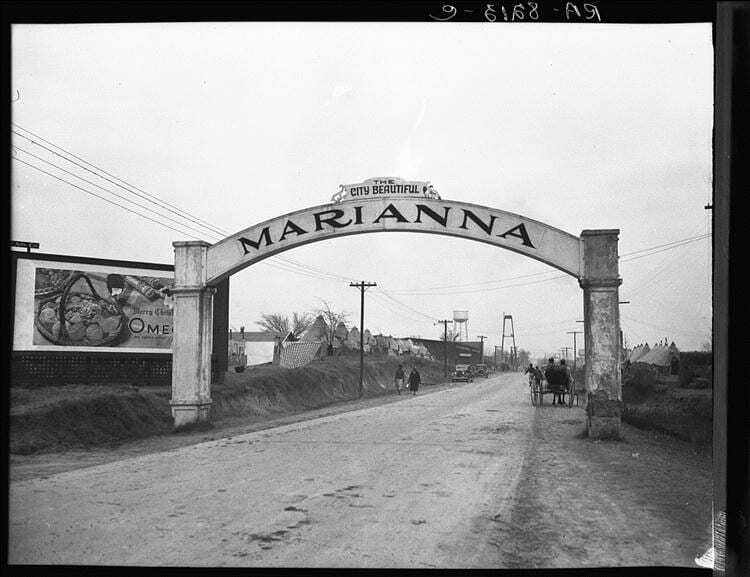 1930, 1931. PAUL CUMMINGS: Did you just meet them in moving around the world? WALKER EVANS: Well, you know, that’s a mystery to me looking back on it. I feel in a way you sort of meet the people you’re meant to meet. But everybody seemed to know everybody then. If you lived in the Village you knew the serious artists in the Village. The town was full of loafers and drunks. But there were a few people there like Jim Agee and Ben Shahn and I don’t know who else that I knew. We were all pretty damn serious and hardworking people. We believed in ourselves and in art, in being artists. There wasn’t any play about that. We were ready to starve for it. And did. PAUL CUMMINGS: This is also the beginning of the Depression? PAUL CUMMINGS: You also knew Muriel Draper at one point? WALKER EVANS: That came out – I’ll never forgive Szarkowski who got that thing from Lincoln Kirstein. It was Lincoln who introduced me to the great Draper woman. There’s a very perverse side to Lincoln, you know; he loves all sorts of funny business. That certainly was high cheese. PAUL CUMMINGS: Well, she was sort of – I can’t really figure out what she was. WALKER EVANS: You know, really she was a remarkable woman and she was very useful in the education of young men like me at that time. I must say it. Although she was putting on an act and it was completely artificial and phony to the fingertips, there was still something good in it. PAUL CUMMINGS: That’s interesting. She was a friend of Mark Tobey’s too at one point. WALKER EVANS: Yes. I remember meeting Tobey there. She was the great mother of all artists. Anybody who was an artist could come to her house. And that’s a good thing too. There ought to be a house like that. It was an imitation French salon, indiscriminate, but the nearest thing we had to that. And that’s necessary in a culture really. PAUL CUMMINGS: So it was a good place to meet people and talk. WALKER EVANS: Sure. And a lot went on. A lot of it questionable but it went on anyway. PAUL CUMMINGS: Well, but sometimes that’s important. WALKER EVANS: Sure, it is. It was anything but a respectable house. PAUL CUMMINGS: What about Lincoln Kirstein? Did you get to know him well? WALKER EVANS: Well, I’ll be damned if I remember how I met him. But probably at – well, I was going to say at the Draper’s but how – no, I think he must have taken me to Muriel Draper’s house. But I do remember meeting him – there was a sort of false start in our relationship. I had another night job in a bookstore and he used to come in there. After talking with him I could see that he was a brilliant young man. I didn’t know who he was and he never introduced himself. Then when I met him later on – where I do not know – I remembered this guy coming into the bookstore. I met lots of people that way. I met Martha Graham that way. She never told me who she was. PAUL CUMMINGS: What bookstore was that? WALKER EVANS: Well, it was an odd thing. I’ll leave the name out of this because the bookstore was questionable inasmuch as a figure in the New York literary world, a rich young man, was trying to get rid of a girl he had, and he set her up in the bookstore. PAUL CUMMINGS: Was that in the Village? WALKER EVANS: No. It was on 57th Street. But I know that this girl had some sort of hold on him, or he thought she did, and he gave her a bookstore to manage. She didn’t know anything about books. I wandered in there one night and sort of asked for a job and got it. And then I bought books for her. She didn’t even know how to buy books. I had been to Paris and I made my connections; I imported French books. I remember Lincoln coming in and saying, “Who gets these books?” This is interesting: I put a display in the window of modern French literature. And sure enough Lincoln came in. People are attracted to these things. PAUL CUMMINGS: They drift in. So that got you involved with Kirstein – right? WALKER EVANS: Yes. But now I’m interested to know – I don’t want to waste our time – but to tell you the truth I’d love to know myself where I met Lincoln Kirstein. I just don’t know. Oh! He had the Hound and Horn and I may have gone to try to sell him pictures. He published photographs and I may have seen that. And he did publish pictures of mine. Or he may have come to me – he was interested in photographers and in unknown artists and he may have found out that I was an unknown artist and looked me up. But I just do not know. I must ask him some day. But he won’t know either. He’s very untrustworthy; that is, you can’t count on the accuracy of what he says. He just loves to throw things around. PAUL CUMMINGS: What about Ben Shahn? You got involved with him, too, at some time? WALKER EVANS: Yes. I did. This is all interesting. This is what I say: People do get drawn together when they’re sort of meant to. Shahn and I met at somebody’s house on Columbia Heights in Brooklyn. I know that. There was a doctor there who picked me up on the street because he was a photographer. You see, if you’re in that neighborhood – it’s a little neighborhood – you can talk to anybody. And two photographers would talk to each other on photographing in the New York style – it’s the most obvious photograph in the world. And then this guy asked me to come to his house. I went to his house and there was Shahn. That was a kind of salon also. PAUL CUMMINGS: Do you remember who he was? WALKER EVANS: Yes, I do remember who he was. He had an assumed name. He called himself Yago Galston. And his name was not that at all. He just made that up. He was a doctor who wouldn’t practice. He was in medical politics in the Association and all that stuff. What do they call it? PAUL CUMMINGS: Oh, the American Medical Association? WALKER EVANS: Yes. I think he was manager of it, or secretary, or something like that. PAUL CUMMINGS: That’s incredible. Well, you shared a studio or something with Shahn, didn’t you for a while? WALKER EVANS: I did indeed. Not in Brooklyn but over on Bethune Street in Manhattan. Sure. Not only did I share a studio but twice over – he had an apartment with an under basement and I lived in the basement. And he had these two children upstairs and his wife, Tillie. And I was in the basement. And later across the street we all had a studio with Lou Block, the three of us, but mostly Ben and me. I had the back and he had the front. 23 Bethune Street, I remember it so well. WALKER EVANS: The questions should be: “What’s it like with Shahn?” – because everybody is different and Shahn was a very special character. 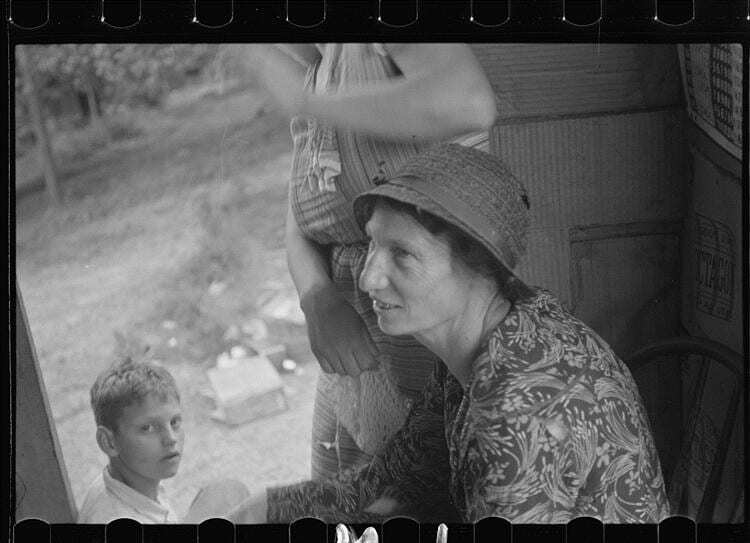 WALKER EVANS: Well, we had a great attachment to each other Shahn and I. Also he was an overpowering man. Which I begun to resent. He was too strong for me. But I knew I was getting educated. After all, a little boy from Kenilworth had never seen anybody like that, the son of a Russian immigrant really right out of the streets, you know, and tough. All the things I thought were exotic and fascinating. It was very marvelous. I was very attracted to his work. I loved it. I still do to this day. It’s not very fashionable to love it but I do. Everybody is disillusioned with Shahn really after having called him the greatest of contemporary artists. He’s lost that status I think. But he was a very clever and interesting artist. We both had the same kind of an eye really. That’s why he got interested in photography. He used to shamelessly make pictures from photographs. WALKER EVANS: Newspapers or his own. That’s why he took it up. PAUL CUMMINGS: What about photography? – because he did a lot of photography in the thirties at one point, didn’t he? WALKER EVANS: Yes, he did. 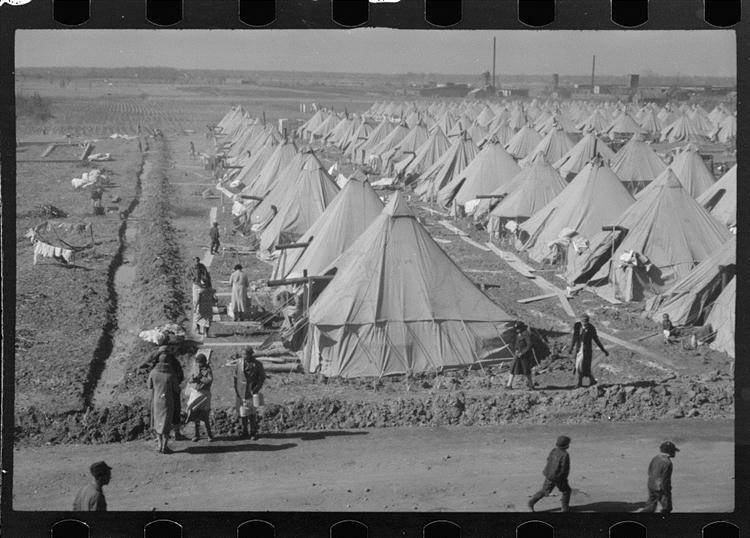 PAUL CUMMINGS: But that was through the Farm Security Administration? 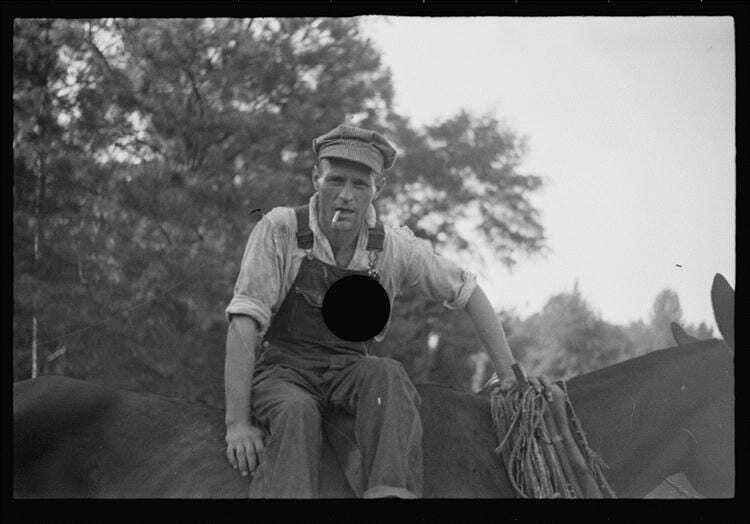 WALKER EVANS: No – well, I think he got them to send him on a couple of trips. He could wrap Mr. Stryker around his finger; and did. He would go over there and get a trip out of it. He could go up with all expenses paid with his girl Bernarda. And they had a fine time. Ben really worked Washington for all it was worth. PAUL CUMMINGS: Well, he seems to have done that all of his life. WALKER EVANS: Of course, yes. He was a great worker in that sense. That always irritated me because he would do things that would embarrass me, that I wouldn’t do. PAUL CUMMINGS: What about Hart Crane? How did you do the photographs for The Bridge, for example? WALKER EVANS: Well, I think he must have picked me up in the street too, in Brooklyn Heights. That’s where he was living. Anyway we did get to know each other. And there, again, I don’t know how…. You see, I’d love to know how…. I could find out from Kirstein I suppose. After all, Crane is dead. I don’t know how I met him. But, you see, those are significant meetings. They just happened. They’re bound to happen. He was in love with the Bridge and he just loved those photographs. And I had a feeling for the Bridge. You know, at that time he was drinking very heavily and would act out in alcohol all sorts of desires and fantasies. You know, it was a shaky business because alcoholism is not very real, straight, or strong. His whole effect was a very boozy kind of thing. In fact, it was too much so for me. I used to have to run away from him. I couldn’t stand that kind of thing. You know, calling up in the middle of the night and all sorts of things. He loved violence and he’d get into trouble with sailors and they’d beat him up and he’d call me up and say, “Save me.” I can’t stand that sort of thing; never could. I remember once I had to change my telephone number because Crane bothered me too much. WALKER EVANS: I did like him. He really was a very brilliant guy, worth knowing after all. A marvelous talker. PAUL CUMMINGS: It’s interesting that you’ve done projects with so many literary people. PAUL CUMMINGS: How did the Depression affect you in the early thirties as far as work and living – ? WALKER EVANS: Well now I have a theory in retrospect that it was good for us all. You couldn’t do anything else anyway. It gave us time without the pressure of getting a job. You couldn’t get a job. I think it produced a lot of artists, or allowed a crowd of people who were on the road to being artists to stay artists instead of going off into Wall Street or Time, Inc. or some place and losing it. I stayed on; I probably would have anyway because I was very willful about it. I was going to be an artist and I’d be goddamned if I was going to be a commercial businessman or a success at anything else. There was a hell of a pressure on you to do that. I wouldn’t do it. PAUL CUMMINGS: You never did have a studio like photographers and do all that for – ? PAUL CUMMINGS: A commercial project. WALKER EVANS: I had no base of that sort. PAUL CUMMINGS: It never interested you? WALKER EVANS: Well, no. I couldn’t do that. I knew that meant going into business and ruining what I was doing. Once in a while I’ve flirted with – I’ve had a couple of flirtations with advertising photography. It made me sick. Somebody at N.W. Ayer persuaded me to do a series of advertising things. I needed the money. I went down to Philadelphia and did these things. Then they asked me to come and work there. I wouldn’t do it. PAUL CUMMINGS: It wasn’t the road. WALKER EVANS: No. After all, my father was in the advertising business. I knew what it was like. I didn’t want to be like that. PAUL CUMMINGS: What about the later thirties? You worked on the Project, didn’t you, at one point? Or did you? WALKER EVANS: Well, I was on the Resettlement Administration which became Farm Security Administration, a sort of team they had. Sure. I think I was the original one there. I went down there at the suggestion of Ernestine Evans when Roy Stryker didn’t know what he was doing, didn’t know why he was there. He was just a friend of Tugwell’s. I think he had been a history teacher. They said, “We’ll have a historical division here.” It was crazy, you know. Nobody could take it seriously. It was just mad, inefficient bureaucracy. PAUL CUMMINGS: Do you think that was a rewarding activity for you? To travel and take photographs? WALKER EVANS: Oh, gosh, yes! Why not? Of course it was! PAUL CUMMINGS: In what kind of specific ways? 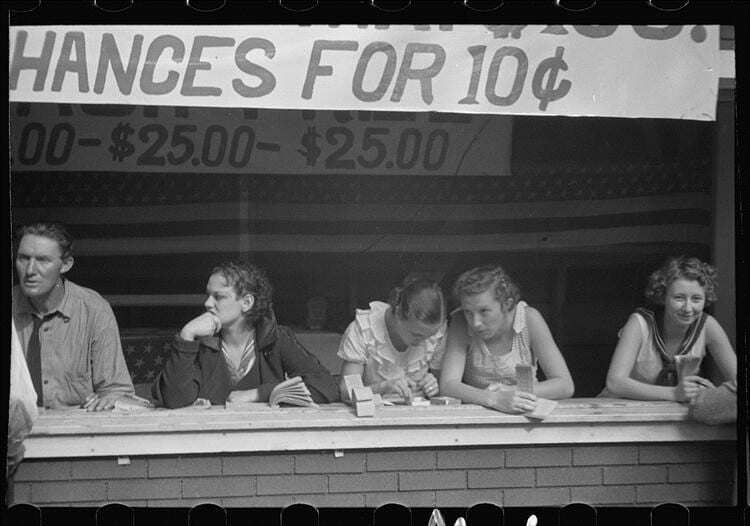 WALKER EVANS: Well, a subsidized freedom to do my stuff! Good heavens, what more could anyone ask for! PAUL CUMMINGS: Time and equipment again. WALKER EVANS: Yes. And the result shows it. I had that whole hot year tremendously productive. I developed my own eye, my own feeling about this country, Oh gosh, yes, that was great for me! PAUL CUMMINGS: Do you think that that period of work was an influence on subsequent things as far as how you looked at things and – ? WALKER EVANS: Well, yes, in the sense that inevitably I was growing and getting experience that I would then use. Sure, I developed. But, mind you, this development wasn’t in the eyes and minds of the Federal Government at all. It was all an accident that as an artist I found this development there. They had that thing set up for an entirely different reason. PAUL CUMMINGS: Right. Well, they usually do. WALKER EVANS: Sure. It was an entirely different thing. PAUL CUMMINGS: It’s interesting how many people complained about the Federal Projects early on and now they’re supposed to be marvelous things. WALKER EVANS: Is that so? I’m sure that’s the case. Yes. PAUL CUMMINGS: You did a commission for Kirstein at one time photographing some houses, didn’t you? WALKER EVANS: Well, that’s what seems to be part of the legend. I wouldn’t put it that way. He took me off on a trip. He and particularly Jack Wheelwright – John Brooks Wheelwright – were interested in a romantic revival and other unstudied, undiscovered really, styles in American architecture. I was a photographer and Kirstein had the natural idea, “Well, let’s go and photograph these things.” I didn’t think twice about it. I was interested in doing it. I was perfectly free and had a camera and if he wanted to finance the trip that was all right with me. We went in his car to various places not too far. I’ve forgotten where we stayed. I think he was still an undergraduate; we probably stayed in his rooms in Cambridge. At that time his family lived in Boston. I remember meeting his mother. And I met Jack Wheelwright who was a friend of Lincoln’s, a young Boston poet, aristocrat, esthete, Harvard tradition. PAUL CUMMINGS: This is Side 2. Anyway, well, so photographing the houses was kind of a coincidental commission, right? WALKER EVANS: Oh, yes-s. You know, that’s something I wouldn’t have done myself. It was interesting chiefly because of Kirstein and it was a perfectly respectable thing to do, that is, documenting architecture. And it taught me a lot. In fact, it introduced me to a knowledge of how to appreciate and love and respond to various kinds of architecture and architectural styles. I had had a natural attraction to architecture but no experience. And this gave me a certain sophistication. I was always interested in architecture and in the way buildings looked. But that was as far as it went. I think that came from my father who was a frustrated architect. He wanted to be an architect. And his family fell apart and couldn’t give him that expensive education. It costs like hell to train an architect. PAUL CUMMINGS: Right. Had your father talked about architecture at home then? WALKER EVANS: Apparently, yes. I think, I remember that he did. He used to build things. I mean he’d take it out by building a doll’s house for his children. I remember a very well-done, elaborate, perfectly done doll’s house. He had a great sense of structure; and he had taste, too; conservative but good. PAUL CUMMINGS: What about the photographs you were taking during the thirties? Did you have a specific set of ideas or theory about them? Or did you just go out and kind of work and develop? WALEKR EVANS: I was working by instinct but with a sense – not too clear – but a firm sense that I was on the right track, that I was doing something valuable and also pioneering aesthetically and artistically. I just knew it. And Kirstein helped me a lot. He used to tell me what I was doing. I really learned a lot from him. He was a very perceptive critic and esthete. Oh, yes. PAUL CUMMINGS: Was there anybody else who was as involved with your photographs as he was, or as perceptive? WALKER EVANS: Well, lots of people were. But they didn’t do much, nor were they as perceptive. Oh, God, there were a lot of people. Well, Hart Crane was excited; he picked that up and he showed it around. It went from friend to friend, you see. In fact, there was a sort of well-to-do young Harvard esthete who had a little gallery that he was paying for. He gave me an exhibition very early, the first exhibition I had of photographs. Imagine that! They got around. I had a little following. It grew. PAUL CUMMINGS: Did people collect photographs at that time? WALKER EVANS: No. Never thought of that. Well, yes, Julien Levy tried to start a gallery for photographs. It didn’t work. He started one and gave me an exhibition. But we didn’t sell; one or two prints, that’s all. Which wasn’t enough. It didn’t pay. PAUL CUMMINGS: Did you do commission jobs for people? WALKER EVANS: Yes. Anything I could scrape up. Everything. Freelance. A couple of windfalls. Not very much. In fact, I was usually broke and in debt. PAUL CUMMINGS: You received a Guggenheim Foundation grant? WALKER EVANS: Yes, I did. I applied for that several times before I got it. I used to get refused; then I’d got back, and I got it. PAUL CUMMINGS: What did you do with it? WALKER EVANS: Almost nothing. I paid my debts I think. God, I thought I was going somewhere, and I did so somewhere, I’ve forgotten where now. But it wasn’t much. I was married – or anyway I wasn’t single – I’ve forgotten whether I was officially married or not at that time. I remember going somewhere. I remember renting – subletting a little apartment. We had to go somewhere. But I don’t remember where we went. I guess we went on a trip, but not abroad. PAUL CUMMINGS: Just toured the country? WALKER EVANS: I was so behind financially that I couldn’t do very much. This was just something that got me out of jail. It often happens that a Guggenheim just saves somebody’s life; it doesn’t subsidize it. WALKER EVANS: Or artists have children on a Guggenheim. They do a lot of things besides art. PAUL CUMMINGS: Yes, that’s true. Some artist went and bought a very expensive car. WALKER EVANS; Yes. I remember a story – I don’t know whether it’s true or not – that Noguchi did something quite different from what he said he was going to do and somebody was incensed about that. PAUL CUMMINGS: Well, he would do something like that. WALKER EVANS: Yes. And yet I thought very highly of the Guggenheim Foundation in those days. They had a very impressive list. PAUL CUMMINGS: Oh, it’s incredible. WALKER EVANS: Gosh. What an influence on American art at the time. That’s all Henry Allen Moe. I give him credit for it. When you look that over you must take you hat off to Henry Moe. WALKER EVANS: And maybe behind a lot more that he wants known. He has his finger in everything. PAUL CUMMINGS: Yes. Oh, I know. What about James Soby who came along somewhere in the thirties, didn’t he? WALKER EVANS: Ah, yes. Kirstein did, I think, put me onto Soby; or him onto me. Soby got interested in photography and wanted to study it and Kirstein said, “Get Evans to give you some lessons.” That’s what happened. He had me up to his house in West Hartford to teach him. I stayed there for a week. PAUL CUMMINGS: Was he a good student? WALKER EVANS: No, he gave it up. He’s written about that. He sensed that he wasn’t going to do it right. So he didn’t do it. PAUL CUMMINGS: You had no interest in teaching or anything at that point, did you? WALKER EVANS: I did teach a little bit privately but only for the money. No, I didn’t have an interest in teaching per se. PAUL CUMMINGS: That’s only a recent activity? WALKER EVANS: Yes. When I first asked to go to Yale I though: I don’t know if this is right for me or not. But when I tried it, to my great surprise I found that is offered me something. Well, really being in touch with college students is what it meant to me. I didn’t know I was going to get rewarded for that. I thought I might not even like it. But the fact is I love it. PAUL CUMMINGS: How long have you been there now? WALKER EVANS: I’ve been there six years. PAUL CUMMINGS: Has it changed a great deal in that time? WALKER EVANS: Yes, it has changed quite a lot. Yes. Another side of the reward to me is the self-satisfaction of seeing that it is successful with the students. They like it. They get something out of me. And they report that just sort of by the grapevine. And that’s why I’m renewed there. The University knows that I have an effect on the student. It’s immeasurable but it’s there. PAUL CUMMINGS: Do you have students who want to become professional photographers? WALKER EVANS: Yes. I discourage them. I don’t want to make photographers out of them. I just show them what art is. If it rubs off that’s about all. I don’t even claim to be a teacher. I claim to be an experienced man and ready to expose myself to them and let some of the experience rub off. That’s all. They need that. PAUL CUMMINGS: You must have a very flexible kind of teaching program then? WALKER EVANS: Oh, sure. It’s loose as hell. I do exactly as I please. We talk about everything under the sun – films, music, literature, anything. I showed you that postcard. WALKER EVANS: That’s from a student four years ago. He had a lot of fun. So he’s my friend now. He sends me a postcard from wherever he is. PAUL CUMMINGS: Going back to the chronology here in the thirties, what kind of cameras and things were you interested in? Did you have a specific kind of equipment? WALKER EVANS: I’ve always been interested in cameras. I’m even interested – well, I was interested a little bit too much even in the technique of photography. It’s a fascinating thing. But it hasn’t much to do with art and an artist had better stay away from it, not get absorbed in it. It’s too absorbing. PAUL CUMMINGS: Oh yes, there are endless darkroom tricks. 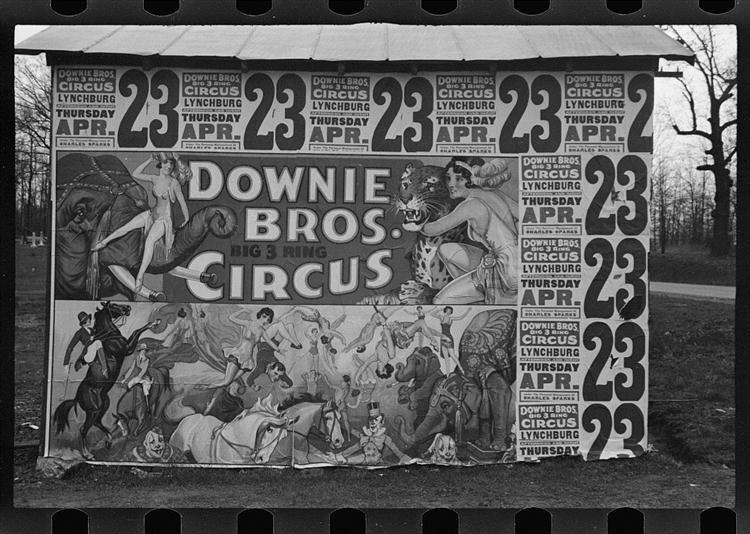 WALKER EVANS: Oh yes, you can do all kinds of tricks. It’s just better not to. I am after mastery of what I want to do; that is, I want to be able to do what I want to do, and do it well. And I insist on that even in teaching. I say, “You’ve got to know what you’re doing and be on top of it and do it well. There’s no excuse not to know the technique well.” But I don’t teach the technique. I say you should go out and do it somehow or other, get it yourself. There are technical teachers over there. PAUL CUMMINGS: Oh; that teach them developing and how to read light meters and all that? PAUL CUMMINGS: What about the idea – we keep coming back to the term the “art.” How do you define the art in photography? Or what is the quality that’s being defined? WALKER EVANS: Yes. How do you define it in anything? WALKER EVANS: You define it in photography the same way you do in painting or literature or whatever it is. Nobody does it convincingly, that is, exclusively. But you know perfectly well that in writing on aesthetics and in art criticism there are some very profound and satisfactory treatises by this or that person that is the essence of criticism. Photography is very weak in that. There isn’t any in photography to speak of. PAUL CUMMINGS: What do you think are the qualities that, say, differentiate fine art photography from commercial photographers? Is it the way they look at things? Their attitude? What they photograph? WALKER EVANS: I’ll preface my answer by a remark that has come to me lately – I’ve been thinking about it – In my time, let’s say, in the thirties or when I was moving into this thing, it so happened that very few men of taste, education, or even just general sophistication, or any kind of educated mind, ever touched photography. Nobody ever says that very much. But that has a lot to do with the history of photography. And the fact that quite a few people of real discrimination, taste, and general superior critical minds have come into it. We don’t often talk about how damn few superior minds were ever in it. Also it was disdained medium. It was laughed at, and misused and corrupted by everybody. I mean my poor father, for example, who had a conventional attitude toward all the arts and all that decided that all I wanted to do was to be naughty and get hold of girls through photography, that kind of thing. He had no idea that I was serious about it. And respectable, educated people didn’t. That was a world you wouldn’t go into. Of course that made it all the more interesting, the fact that it was perverse, for me. That was one reason I was able to do something because I did have an eye and a mind and hardly anybody else did and I was working with a camera. That’s all. I did something that was not trite or vulgar. PAUL CUMMINGS: Why do you think so few sophisticated people were attracted to photography until recently. WALKER EVANS: Gosh, I do not know. I’d love to know why, too, I’m sure. I think maybe it was just that it got a bad name for itself. You ask yourself why a girl has to be careful of her reputation. And you ask that a little bit and you begin to see why it’s damn important. A wrong reputation can ruin a girl. Well, this art had a wrong reputation. It was dubious and not accepted by the respectable Establishment mind. That makes a hell of a lot of difference. PAUL CUMMINGS: Do you think that the same people though would look at, say, a photograph used in an ad in a different way than they would look at a photograph not made for commercial purposes? Or would they never differentiate? WALKER EVANS: I don’t think they would look at it at all or think about it at all. I just think they would consider it a low thing. Well, just as many fields have an undeserved low standing and reputation in the world. That’s one of the delights and one of the sadnesses of working life. Well, look at the long Puritan disdain for, and fear of the theater. Let’s say, for a respectable young girl to go to the theater there was quite a fight. Or even, hell, for women to practice any art was a bad thing. If you were a genteel South Carolina debutante you couldn’t, for instance, be a writer. Judy Peterkin did break that and brave it. She was misunderstood by her husband. He didn’t think she ought to be writing a book. But let’s go back to where we were. Or where were we? Talking about photography I guess. Of course there’s quite a turnover now. It isn’t thorough. But this is an age of breakthrough about photography unpredicted to me. I never expected it to happen. PAUL CUMMINGS: I notice in the galleries that show photographs and the museums way they do a photographic exhibition that they are jammed with young people. WALKER EVANS: Yes. Well, do you know why? I’ve figured it out and I think this is the case: They’re after – God bless them, it’s a good thing to their credit – they’re after truth and honesty. The camera seems to be one of the tools that will produce that. They feel it. Now I may be wrong about that. Now I’ve seen how you can be very perverse and superficial and dishonest with a camera. But they don’t think so. They think that it’s honest. I believe that’s the explanation for this. There’s quite a wave. I keep coming back to this – let’s say, Hilton Kramer did a very important thing – I think he made what will be art history by hailing that show of mine and saying in the New York Times, “If you don’t realize the importance, of contemporary photography of this sort, you’re missing something and you’re ignorant. Wake up.” He got very militant about that. It was the first time it was said by an authority in an important place and that made a hell of a lot of difference. PAUL CUMMINGS: That was the second time you’d had a show at the Museum of Modern Art, wasn’t it? WALKER EVANS: Yes. But earlier there wasn’t any Kramer to say, “This is high art.” I’d always had a small acceptance earlier. I mean I was already accepted by a small bunch of experts. But this put, not necessarily me – it isn’t as personal as that – it put the kind of thing I’m doing in photography in a place – it’s almost religion – where it deserved serious consideration. PAUL CUMMINGS: How would you compare the reaction from the first show there to the recent one? WALKER EVANS: It was smaller, that’s all. There was very favorable reaction to the first one. And chiefly I think Kirstein’s essay to the book was in essence a catalogue itself. That essay was a very bright piece of art criticism. And that’s history-making too I think. But still it’s an art book for a very small public. This other thing, Kramer hailing it in the Times, and the show going across the country does make it a national event. I’ll bet you it’s forming right now – I bet you it’s a point in art history as far as photography is concerned. PAUL CUMMINGS: What kind of reaction do you get from the exhibition? WALKER EVANS: All kinds really. Things are happening all over the place about it. Well, there’s been quite a press in each place – of course the local papers, variously sometimes. Embarrassingly, sometimes stupid. Boston, of all places that they allow in one of their papers to have a show like that reviewed as a social event and describe what the trustees wives were wearing at the opening. That kind of thing is laughable if you don’t weep. PAUL CUMMINGS: Yes. What reaction do you have when you walk in and see, you know, a survey of years of work all up on the wall? WALKER EVANS: Well, it makes me dizzy. I also get embarrassed and emotional. And since I’m the kind of man I am – I’m not very good with my emotions – I probably run away from them. But actually I probably feel like weeping to see this thing in a museum like that because it all means a lot to me privately. After all, art is an emotional thing. I’ve stated that. It’s a matter of feeling, not thinking. PAUL CUMMINGS: I generally ask people that because the reactions are always quite different. WALKER EVANS: I’ll bet you they are. Well, I say to myself look here, keep your cool, don’t get excited by this or anything else. I say that when I’m beginning to get excited. I lose my head; I’d go raving around screaming and weeping if I didn’t look out. So when I feel like doing that I’ll become damn cool. Which is false, of course. Then I’m having an imposed reaction that isn’t true at all. That’s an Anglo-Saxon straight way to live. And they invented that in order to survive danger I suppose. That has happened to me several times where Anglo-Saxon cool has saved a danger situation. That’s how it developed I guess. I used it once when I was invaded, I mean my apartment was broken into in a scary way. Each time I used by head because I kept cool. PAUL CUMMINGS: What has changed the most, do you think, in your attitude toward photography over the years? 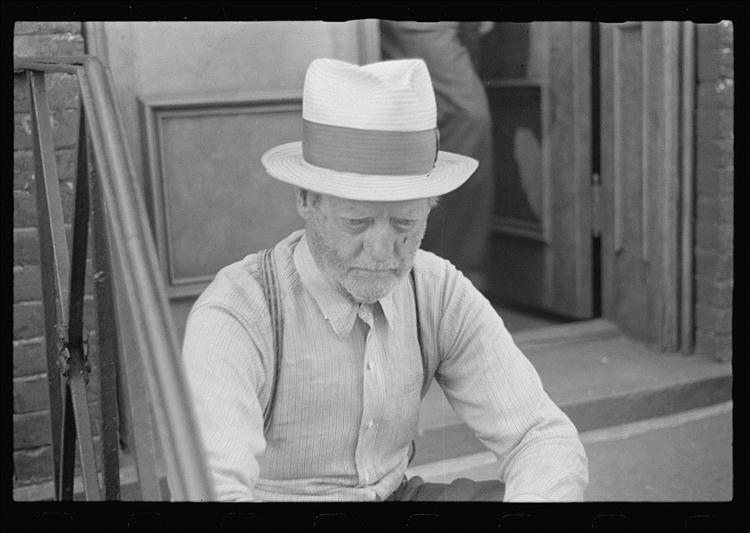 WALKER EVANS: Well, don’t forget I’m getting older. I’m doing things that I would have looked upon with some disdain as a young man. When you’re thirty you say: I will never become that, or do that. And then you do. Of course when you’re thirty you don’t understand why anybody at age sixty-eight does certain things. When you become sixty-eight you know damn well why they do it. PAUL CUMMINGS: Have you kind of eliminated ideas or experience and developed other ones? WALKER EVANS: No. The chief thing I’ve noticed is a solidifying of purpose and conviction and I’ve gained security about what I’m doing. But also part of me says: beware of this, don’t accept acclaim; be careful about being established. There’s this problem. How do you get around the Establishment when something is establishing you? You’re established when you’re in these big museums. I find that quite a challenge. That’s why I’m going to do something with all these things, you find something else, establish that. Part of me doesn’t want this to be established. It shouldn’t be because it tames it. I think I’m doing something that is not acceptable. To find acceptance is quite a thing. PAUL CUMMINGS: Well, but that always seems to be part of the circle, you know. WALKER EVANS: Yes, it does. And I know enough about it to know what’s going on. I’m fascinated to stand aside and observe this happening and to observe its effect upon myself. PAUL CUMMINGS: Do you find that since you do have exhibitions with Bob Schoelkopf and pictures are sold, that the fact that you’re collected, does that now make a difference? Or is that just kind of a nice thing? WALKER EVANS: It makes a difference in a way; but not much because there isn’t enough, you see. If that meant that I could live well on it – that’s what ought to be – it would make more of a difference. But it doesn’t come to that. You see, this is just a little extra money. What really matters – money is a very serious matter and what matters is real money. What you live on is very important whether you’re honest or not. PAUL CUMMINGS: Could we go back about the Farm Security Administration or a little while and talk about specific things that you did? WALKER EVANS: Sure. Watch this. We only have five minutes more. PAUL CUMMINGS: Were there any particular projects that you wanted to do that you were able to accomplish? Or were you given assignments? WALKER EVANS: Oh. No. By subterfuge I did a whole lot of things on my own which I was determined to do. By “subterfuge” I mean I would ignore bureaucratic orders, administration orders. I wasn’t going to listen to – I wasn’t going to serve anybody in this position except myself. So I just used it to go off freely and do exactly what came before my eye. I remember once somebody wanted one of those stupid building projects photographed. I photographed it but I said this is the last time I’m going to do that; I’m not interested in this; to hell with it, I won’t do it. WALKER EVANS: Oh, it did! They hated me. My God, Leone could kill me. But he was a very clever man and knew he shouldn’t fight with me. He just ignored the whole thing. He knew that I was ignoring him so he was going to ignore me. WALKER EVANS: Oh. Well, some of them are not even my photography at all. I love the two postcard ones; they’re purely mine. You probably never saw them. Vintage postcards. PAUL CUMMINGS: This is December 23, 1971 – Paul Cummings talking to Walker Evans in his apartment in New York City. On the previous tape we talked about the 1930s and what was going on. But what about James Soby? You met him at some point. What was that all about? WALKER EVANS: Well, Soby wanted to study photography and Lincoln Kirstein suggested that I teach him. They were friends. Soby asked me to come up to his house in West Hartford, Connecticut. Which I did. I spent a week there. He had a lot of equipment. I just gave him – He’s written about that himself. He said that visit taught him that he couldn’t do it. PAUL CUMMINGS: Well, but sometimes you have to do it to find out, I think, don’t you? WALKER EVANS: Yes. Soby is a very nice man and always has been. He is almost incurably the rich amateur with wonderful equipment. Embarrassing. PAUL CUMMINGS: You had an exhibition in the early thirties at the Museum of Modern Art. Wasn’t there one there in – ? WALKER EVANS: – invented and fine art and took me around and we did a few things. It just wasn’t my idea; it wasn’t a very important thing to do. It was historical research. But it meant something else much more important, which was meeting and getting to know Kirstein, a wonderful mind, a very stimulating boy. I guess he was still an undergraduate at Harvard. PAUL CUMMINGS: Have you kept up an association with him over the years? WALKER EVANS: Oh, sure. He’s very hard to keep up with. There are times he won’t even speak to you on the street. He’s temperamental and a little bit crazy, or acts crazy. But you pay no attention if you know him well. The next time he’ll throw his arms around you and want to see you. I’ve got him down as one of the wonders of the age. I think he is a very important man with a great mind. He’s got his crazy side, too. PAUL CUMMINGS: Sometime after the thirties you got involved with Time-Life and Fortune. That was in the forties, wasn’t it? WALKER EVANS: Yes. I went to Time as a writer in 1943. PAUL CUMMINGS: Was there a particular reason why you went there? WALKER EVANS: Sure. I needed a job. I couldn’t get into the war. Photography was abstentio so you couldn’t be one. There was no film. No work except in the war. Steichen turned me down. I tried to get into his outfit. Do you know why he turned me down? WALKER EVANS: Stryker told him so. WALKER EVANS: Yes. Said I was difficult. I found that out later. Steichen told me that. PAUL CUMMINGS: That’s interesting. How was your association with Stryker since we’ve bought him up here again? WALKER EVANS: I’ve been through that with you, haven’t I? WE Carried over – what do you mean? PAUL CUMMINGS: Well, I mean, you know, he said – or was it just because he knew Steichen that he would say no as far as – ? WALKER EVANS: Well, I was difficult to him. WALKER EVANS: I made things quite hard for him I must admit. Sure. I didn’t think much of him and I gave him a hard time and I treated him rather contemptuously. I had contempt for him. To me he was a johnny-come-lately bureaucrat who was just out to do something for himself. And they didn’t understand what he was doing I thought. What he understood was what people like Ben Shahn and myself and a couple of others told him. Generally we’d tell him what to do. He sort of admitted that anyway elsewhere himself. PAUL CUMMINGS: You did talk a little bit about the Time-Life activities and then you went to Fortune. PAUL CUMMINGS: So you did the whole – ? WALKER EVANS: Oh, yes. I had good friends there. And all the comings and goings of that place in the thirties and forties – almost every gifted man in American writing and in art went through there. PAUL CUMMINGS: You had a later show at the Museum of Modern Art in – what – 1937? WALKER EVANS: 1938. That was more important. That’s the one I remember because that to my mind was the first big photographic show that I’ve had, and it was the first big one they gave. I don’t consider that business about architecture a show. PAUL CUMMINGS: The other one? Well, how did that come about? WALKER EVANS: Again, Kirstein had a lot to do with that. I remember he helped me put together the book. Kirstein never worked with the Museum but he was close to them in a friendly way all the time. He and Tom Mayberry (who has since died), and I did this. Alfred Barr was away. Although Alfred has always been very interested in photography. They decided to put this thing into the Museum. For museums it was quite a revolutionary step. They hadn’t done that before. They had paintings and prints but never photography as art. PAUL CUMMINGS: Were you pleased with the exhibition? WALKER EVANS: Oh, very. Yes. I remember I hung that myself. Beaumont Newhall was the curator of photography. I didn’t feel I had any need for him. I was very rude to him. I’ve always regretted it, of course, since. He was very nice about it. But I just brushed him aside and hung up the show. PAUL CUMMINGS: Paul Magriel was telling me recently that you changed a lot of things. WALKER EVANS: I did, yes. I was really angry at Newhall’s wife. She wanted to have a hand in that. I wasn’t going to have any of that. PAUL CUMMINGS: But it worked. Well, that was really your first big public exhibition like that? PAUL CUMMINGS: Did it do anything as far as your photographic career was concerned? WALKER EVANS: Oh, very much so. It was like a calling card. It made it. The book particularly was a passport for me. Sure. It established my style and everything. Oh, yes. And as time went on it became more and more important. It turned out to be a landmark really. PAUL CUMMINGS: So the catalogue went around. WALKER EVANS: Yes, because that established the style more than I realized at the time. WALKER EVANS: Oh, yes. Sure. PAUL CUMMINGS: So you feel that it’s important then to have an exhibition so you can see what you’re doing in that sense? WALKER EVANS: No, it wasn’t that so much. Although that is important to any artist. But this was particularly important because, as I say, more than I realized it established the documentary style as art in photography. For the first time it was influential, you see. The Museum is a very influential place. PAUL CUMMINGS: Right. You refer to the “documentary style.” How do you define that? WALKER EVANS: It’s a very important matter. I use the word “style” particularly because in talking about it many people say “documentary photograph.” Well, literally a documentary photograph is a police report of a dead body or an automobile accident or something like that. But the style of detachment and record is another matter. That applied to the world around us is what I do with the camera, what I want to see done with the camera. PAUL CUMMINGS: But there’s a certain attitude or feeling that you get from looking at your photographs because of the way that the camera sort of looks straight out. There are no tricky angles. There is no glossy lighting. It’s just a certain moment in time. It’s a very straightforward approach. Did you develop that consciously? Or did it just naturally — ? WALKER EVANS: That’s a very important matter too. That took time to establish. I was doing that instinctively because I thought that was the way I ought to be doing it but without thinking very much about it. And I also was very lonely in it because nobody thought of that or recognized it very much. Now it’s been vindicated more than in most cases. I happen to be an artist who has been treated justly by time and by the world, that it, my own style has been established and credited to me. Lots of inventors, which a stylist is, don’t get credit for their inventions. In this case I did, luckily. PAUL CUMMINGS: I noticed at Yale last week in the exhibition – which you can’t tell so much from the book – but when you see the prints there’s a quality of light which is very kind of – I don’t know – silvery or something. PAUL CUMMINGS: Are you interested in things like that? PAUL CUMMINGS: Well, the shadows are always quite apparent. WALKER EVANS: Yes. I think that’s important. You can’t always do that in architecture because you have no control over where the sun is and where the building is placed. But I’ve noticed just almost unconsciously that, if I can, I get the light falling in a certain way on a façade, let’s say. PAUL CUMMINGS: Is there a reason why you’ve picked, say, the older buildings that you’ve photographed? Is it because they’re there? Or what interests you as subject? WALKER EVANS: What was the adjective you used? Did you say “older” buildings? PAUL CUMMINGS: Yes. You know, like an abandoned mansion or one of those old frame houses, or a gas station, or stores. WALKER EVANS: Well, this sort of shows within itself. I think that’s just a matter of taste, a love for that kind of thing. Again, that’s instinctive. PAUL CUMMINGS: Also a lot of them have signs. Are you interested in letters and in words? WALKER EVANS: Yes. More and more that’s coming to a head right now. Oh, yes, lettering and signs are very important to me. There are infinite possibilities both decorative in itself and as popular art, as folk art, and also as symbolism and meaning and surprise and double meaning. It’s a very rich field. PAUL CUMMINGS: It runs all the way from one kind of restaurant sign that has a menu in the window to very kind of precisely painted signs or billboards. WALKER EVANS: Yes. Oh, they’re very important to me. Yes. PAUL CUMMINGS: What is the appeal for you? Do you know why they are important to you? WALKER EVANS: No, I don’t know why. I think in truth I’d like to be a letterer. And then broadly speaking I’m literary. The sign matters are just a visual symbol of writing. PAUL CUMMINGS: That’s interesting. You know, the cohesiveness, the coherence of the exhibition up at Yale – it seems to have an incredible continuity. WALKER EVANS: It does, doesn’t it? Well, you know, that just happened. It was there. We just played it. It was a lot of work. A lot of it was in, and a lot of it wasn’t in that museum traveling show that’s going around now. 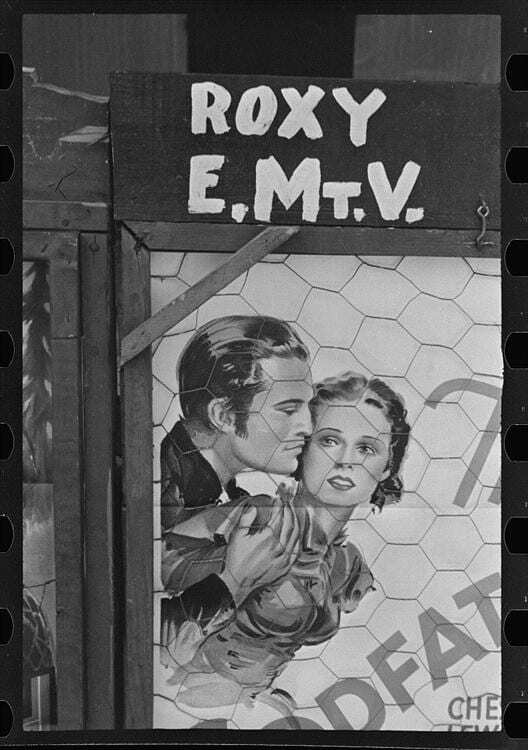 WALKER EVANS: And then there are things done since that show. PAUL CUMMINGS: One thing that’s interesting is the size of those prints. Do they all come from the same negative size? What kind of equipment is involved there? WALKER EVANS: No. I have evolved more or less into a Rolleiflex man. That’s two and a quarter format. PAUL CUMMINGS: Do you prefer that over a thirty-five? PAUL CUMMINGS: Right. Well, in the print do you use the full negative? PAUL CUMMINGS: Do you crop? WALKER EVANS: I crop if I feel like it. In fact, I don’t like square pictures. I very often find they’re oblong. PAUL CUMMINGS: Are you interested in all the darkroom techniques that one can use? WALKER EVANS: I’m always interested in it but I don’t think it should get out of hand. I think it is dangerous particularly when you’re young to get over-interested in that. By now I just simply feel that anybody that applies to it should be expected to produce very competent technical work and I go on from there. PAUL CUMMINGS: I notice that in the Yale show, as well as the one at the Museum of Modern Art, that there are no tricks, or apparent tricks that are so easy to do. WALKER EVANS: That again, is a matter of style and taste. I don’t believe in manipulation, if that’s what you mean, of any photographs or negatives. To me it should be strictly straight photography and look like it; not be painterly ever. PAUL CUMMINGS: Very straightforward printing. WALKER EVANS: Yes. Photographs should be photographic. WALKER EVANS: Yes. You dodge in printing but it doesn’t show. You don’t manipulate the negative any other way; you don’t touch the negative. You just dodge; that’s all. PAUL CUMMINGS: You’ve never gotten very involved with color photography, have you? WALKER EVANS: I’ve done it but I don’t approve of it very much. I’ve done it on occasion. PAUL CUMMINGS: Why don’t you approve of it? WALKER EVANS: Because I don’t think color is true yet. I also don’t think it needs it. And it isn’t permanent either. PAUL CUMMINGS: Have you gotten interested in motion pictures ever? WALKER EVANS: Yes. Too late for me to be into it. That would have required be to be a director. But then you had to go ahead to Hollywood and fight those awful producers. There was nothing to do about that. They didn’t know what they were doing. They were too commercial. That was before the independent producer and director came along. I’m very interested in films. I never got anywhere near making them. I’d like to have done…. Well, I did teach myself to make films, yes, but it was a matter of making a film to find out what its problems are in dealing in motion as against still photography. You learn that a film is made in the cutting room. PAUL CUMMINGS: It’s quite a different way of thinking. PAUL CUMMINGS: Could we make some contrasts between the Museum of Modern Art show of 1938 and the one in 1971? Do you think there is a great deal of change and shift in your work between those years? WALKER EVANS: Well, no, that museum show – Oh! You’re talking about 1938? PAUL CUMMINGS: Right – as opposed to the recent one. 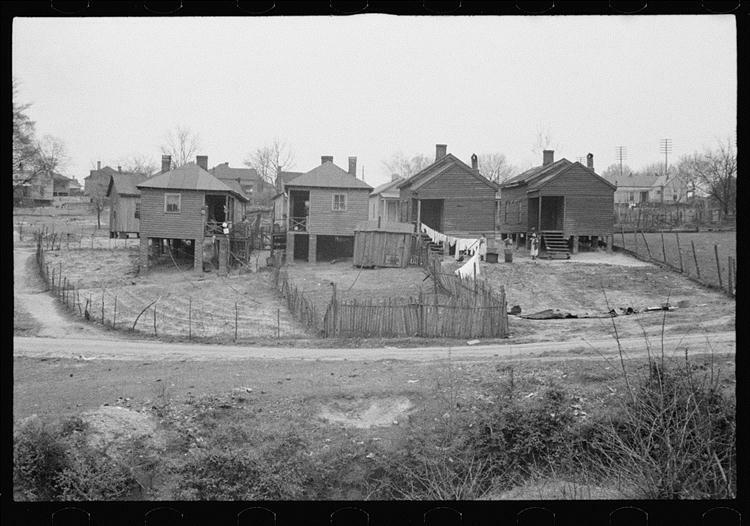 WALKER EVANS: Oh, there was some development, yes. But I don’t know that I can put my finger on it particularly. I believe that basically I have the same vision so to speak; I hope richer and more developed. I’m sure it is more mature. PAUL CUMMINGS: In the Yale show it’s always hard to remember people in the photographs. There’s the Zanna group, and there were some of the WPA period. But I always think more of buildings and objects, and things like that. WALKER EVANS: I guess so, yes. You get the impression that there are more objects. PAUL CUMMINGS: Right. And interiors. Is there a reason why? WALKER EVANS: No, I don’t think there’s any reason for that. PAUL CUMMINGS: It’s just a preference in selection? WALKER EVANS: Well, I do feel that I like to suggest people sometimes by their absence. I like to make you feel that an interior is almost inhabited by somebody. PAUL CUMMINGS: Well, you must get a sense like the one of Mary Frank’s studio. You get a sense of a person being there and a live, active place. WALKER EVANS: Yes. Also that’s in my mind to do that. Yes. WALKER EVANS: Well, I’m not interested in people in the portrait sense, in the individual sense. I’m interested in people as part of the pictures and as themselves but anonymous. I really disapprove of photographing celebrities or known beauties. I do it every once in a while but I think it’s – I can’t quite put my finger on it but I don’t feel right doing that. PAUL CUMMINGS: What is there about it that you -? WALKER EVANS: Well, I don’t think you’re really getting at it – I don’t think a photographic portrait is true. Well, the worst of it is something like Karsh. But even a portrait man is doing something that is a false situation to begin with. And also the business of photographing celebrities is too easy. Anybody can do that. I’m always embarrassed when Cartier comes out with Sartre or Matisse or something like that. He shouldn’t do that. That doesn’t take any – you just get the celebrity ready-made in front of you, push the button, and you’ve got something everybody wants to see. It’s much too easy to do. PAUL CUMMINGS: Oh, I see. It’s just you don’t really even think about it. PAUL CUMMINGS: The subject will carry the whole thing. WALKER EVANS: Sure. Sure. It can’t miss. I’ve done it every once in a while because I’ve been asked to. I’m going to do Leon Edel next week. His new book on James is coming out. Now this is a challenge and something I do. It’s a professional and economic thing to do, too. I mean when you have an ideal job like that it’s sort of subheading in a perfectly respectable way that you become independent financially and make your living at. PAUL CUMMINGS: It’s very interesting that you say even somebody like Karsh who sort of imposes his style on anybody – you know, you see a Karsh photograph before you see who it’s a photograph of. WALKER EVANS: Yes. He’s an embarrassment to us all. PAUL CUMMINGS: But what about some photographers who don’t have such a highly refined or obvious style as that who still do endless rows of celebrities? PAUL CUMMINGS: But don’t you think it’s possible to document those people in a kind of photograph that – ? WALKER EVANS: It’s almost never done. Yes, I do. I think it should be done but never done that way. Well, having attacked Cartier, I’ll say that he does it very simply. And those things are valuable. But I say that anybody can do it. I think it ought to be done, sure. I wish I had done more now. There are many people that are no longer around that I would like to have photographed. A lot. And just put away. But I do have a psychological block about it; I probably haven’t analyzed it very much. I was around Hemingway a little bit but I would never bring out a camera and photograph him, out of regard for him really as too obvious a thing to do. I thought too much of our relationship to throw a camera into it. PAUL CUMMINGS: So that would make some changes then, wouldn’t it? WALKER EVANS: Well, it’s probably pride, too, and ego. My own private ambition comes in there. I don’t want to do the easy thing. I want to do much more difficult things. PAUL CUMMINGS: How did you decide to do that subway riders series? 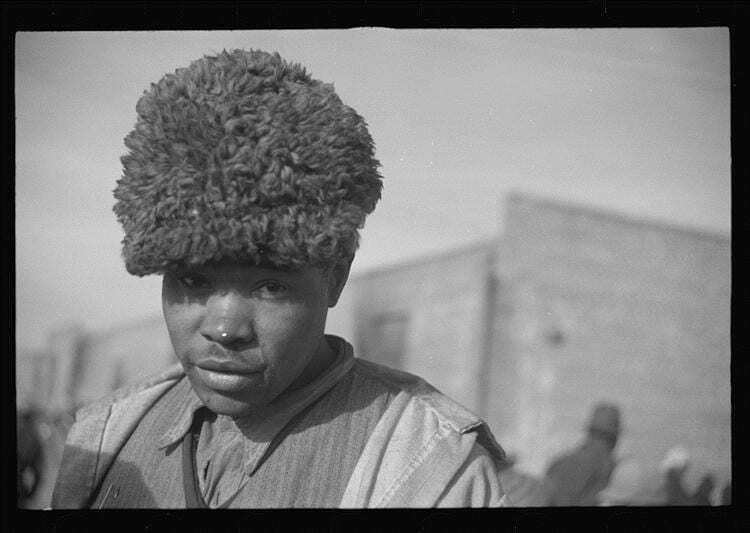 WALKER EVANS: That has a great deal to do with portraiture. That’s my idea of what a portrait ought to be, anonymous and documentary and a straightforward picture of mankind, not of a celebrity, not journalism. PAUL CUMMINGS: So it’s really kind of unposed? WALKER EVANS: You see, that raises journalism. The moment you do somebody at an editor’s request or because that person is famous you’re doing journalism. WALKER EVANS: And the trick there is knowing the people who getting done not doing the picture at all. PAUL CUMMINGS: Yes. But also the subway series is unposed. I mean there’s somebody reading, or looking, or kind of off in his own head somewhere. You don’t get the feeling that they’re aware they’re being photographed. WALKER EVANS: Well, they aren’t. They’re not. No, I arrange that. I figure out a means of arranging it by going at a certain season of the year when you can wear a topcoat and sort of half hide the camera under it, going at a time of day when the subway isn’t too crowded, figuring out the lighting and all that. It was a project for love. It’s value to me – Nobody asked me to do that. Nobody paid me for doing it. PAUL CUMMINGS: Are a lot of your photographs done that way for those reasons? WALKER EVANS: Sure. Well, yes. I’m very non-commercial, rather fiercely so. I’m mad at commercial people. I get into terrible fights. Even recently Life in its insidious way sent people up to give seminars at Yale. I was up in arms about it because I knew it was a very corrupt thing to do. They would do some talent-hunting on the side and also show these boys they aren’t living. That made me furious. They were using Yale. Yale is so innocent they let them do that. PAUL CUMMINGS: They want to make a trade school out of it. PAUL CUMMINGS: Are there other photographers whose work you’re interested in? PAUL CUMMINGS: I mean recent ones? WALKER EVANS: Yes, but I usually answer that by saying that a photographer – an artist isn’t very good at judging his contemporaries and shouldn’t even try. I do like certain people that I’m interested in and I like their work. But even naming them is sometimes insidious or lopsided. PAUL CUMMINGS: Yes, but still I’m curious because there are some people whose work you can look at and make assumptions about what their other interests are; and sometimes it’s accurate. But I find it very difficult to figure out which photographers you would be interested in. WALKER EVANS: Oh! Do you really? WALKER EVANS: Well, naturally I’m interested in photographers whose work is similar to mine in style. Not that they copy it but develop from it. Both Fred and Frank are men who’ve taken the kind of approach I have and carried it on further. That’s why I’m very interested in them. They’re both friends of mine, too. I’ve befriended them. And I have a lot of respect for them. But they’re no longer the younger kids. There are lots of very talented kids who are still nameless who are working non-commercially very well. Some of the students of mine and others I meet. PAUL CUMMINGS: What do you think of the development of the galleries now that handle photographs, like Witkin and some of the others? There’s a new one called Light. WALKER EVANS: I don’t know about that. It’s got a sign. I think it’s rather shaky. I don’t know whether it’s going to work or not. But they’ve done something. I sell photographs from the Robert Schoelkopf Gallery. PAUL CUMMINGS: Yes. Has Robert done well during your exhibition. WALKER EVANS: Fairly. I mean he never lost money on it. I don’t think he’s done well, no. In fact, neither he nor I have gotten rich on it. But even considering rent and his assistants and all that, he’s not lost money on it. PAUL CUMMINGS: I mean, say, compared to ten or fifteen years ago, do you find that more people are collecting photographs? WALKER EVANS: Yes. More do. They didn’t do it at all then to speak of. PAUL CUMMINGS: That’s interesting. Are there many people that you know who’ve collected your photographs over a period of time other than, say, the Museum of Modern Art? PAUL CUMMINGS: I was thinking about individuals who might over the years have bought things with some re-occurring frequency. WALKER EVANS: Armand Crane is a big collector of things that have to do with me and he’s got a lot of prints of mine. He’s sort of nutty on the subject and he embarrasses me. I don’t know how to say how or why. I don’t understand his compulsion. Well, he is a collector and I believe his interest is half egotistical and his pride for collecting has not purely to do with the pictures. It’s just the lore or other things. PAUL CUMMINGS: One thing I’d like to talk about is what you’ve been doing at Yale and what your feelings about teaching photography are, and how much can you teach, and how much can’t you teach? WALKER EVANS: I went to Yale skeptically. Jack Tworkov called up and said, “Do you want to be a visiting critic?” I said, “I don’t know what it is. I’ll investigate it. What is it?” I got up there and found that I wasn’t expected to do much except look at some work and criticize it. So I undertook it at Yale. Then I discovered that it was more than that, but it was more rewarding too, and that the project with the students was an unexpectedly very rich thing for me to go into. Rich for me. For a self-made teacher – I’m not much of a teacher – but I’ve had some effect on the boys and it’s been great for me ever since. I’ve done it for six or seven years now. PAUL CUMMINGS: I think before you said that you really don’t teach them technical things, that you kind of talk about attitudes and ideas. How technical might you get, though, in a discussion? 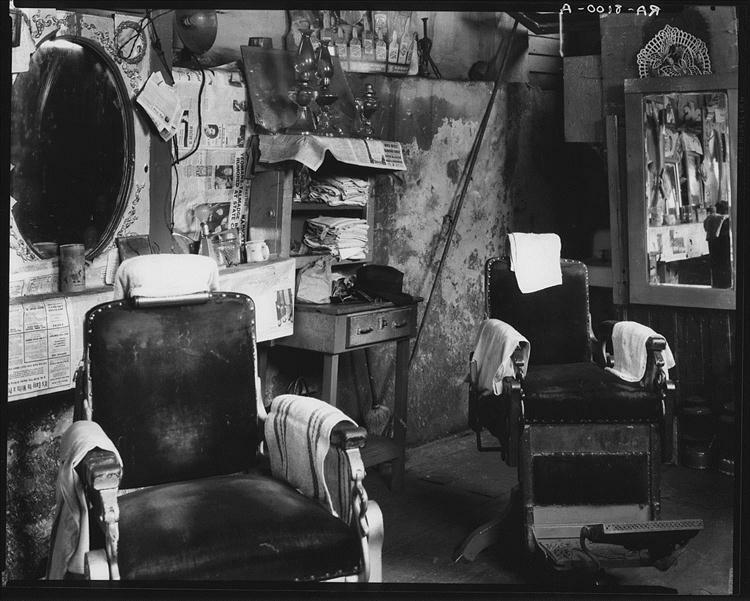 WALKER EVANS: I’m teaching a very advanced course, the most advanced course at Yale. I assume that anybody who gets to me is on top of technique and has mastered it. I require that. Some of them more than others. Well, if something is bad I’ll say so, I’ll criticize it, in fact rather severely. They complain. But otherwise they don’t pay much attention to it. PAUL CUMMINGS: So you really spend your time talking about their eye and their vision and their – ? WALKER EVANS: Yes. It’s the seeing that I’m talking about. Oh, yes. PAUL CUMMINGS: How much of that do you think one can develop in somebody, though? Do you think there’s a certain predilection and a direction? PAUL CUMMINGS: I don’t know – it’s hard to – I’m driving at something here and I can’t really find the question – but – what are the kinds of things you might tell a student, you know, looking at his work, for instance? WALKER EVANS: On the lowest level I would tell him he’s on the wrong path, or that he hasn’t seen the thing properly, or felt it properly or well. I don’t do too much of that, because, as I say, I have sympathetic and very advanced people who are budding artists. That’s what I’m interested in. And the other side of it, which is more elevated that that, is, oh, admit that he might relate the subject at hand to literature or to films or music or anything else that’s much larger. I sometimes just play with ideas that have nothing to do with the matter in order to stimulate an interest. I would talk, let’s say, about the relation, and illustrate it, between, let’s say, some great piece of writing and photography. There’s no book but what’s full of photography. James Joyce is. Henry James it. That’s a pet subject of mine – how those men are unconscious photographers. WALKER EVANS: In the way they see. PAUL CUMMINGS: Yes. That’s interesting. You mean their imagery? WALKER EVANS: Yes. Joyce was one of the first. As you know, in his Ulysses he was one of the first realists, and simple direct kind of men whose language – he was partly a reporter. Photography is reporting, too. WALKER EVANS: There are. I’m interested in reporting, but I also think that reporting at its worst is journalism. But Hemingway was a hell of a good reporter and was always grounded in that and did it to begin with. PAUL CUMMINGS: So it’s getting more than just the obvious is what reporting comes down to? PAUL CUMMINGS: Could you describe in some kind of terms what makes a good photograph for you? I mean if you look at ten photographs what are the qualities that you would look for to kind of separate them? WALKER EVANS: Detachment, lack of sentimentality, originality, a lot of things that sound rather empty. I know what they mean. Let’s say, “visual impact” may not mean much to anybody. I could point it out though. I mean it’s a quality that something has or does not have. Coherence. Well, some things are weak, some things are strong. You just have to…. Well, if you’ve got something in front of you and you’ve got some students you throw those words around and point them out. WALKER EVANS: I purposely took that because it is a vague phrase. To me there are varying degrees of that in the picture. Sometimes it may be that that isn’t the quality you want. It’s important that – I can show you a picture that’s strong in it, and one that’s weak in it. Well, just like all these qualities that…. A man that’s interested in theatre may say, “That isn’t theatre,” or “That isn’t good theatre.” I often say that in photography. Or that it’s too pictorial; that’s another thing I’m against. These are words that you throw around to make your students interested and make them come alive. PAUL CUMMINGS: I guess it’s like everything else. People say yes or no and the more times they say yes the longer it’s going to exist. WALKER EVANS: What was that, again? PAUL CUMMINGS: Well, people decide, you know, between, say, ten photographs. The ones that more people say yes about the chances are will exist in some way for a longer period. WALKER EVANS: Well, again to return to teaching: Experience is very important. It comes only with time. I have time behind me so I venture to teach and say to students, “I don’t really know a hell of a lot more than you do except I’ve been around longer and I do have experience and if I can articulate it some of it will rub off and do you some good.” When I didn’t have experience that’s one thing I learned, that I needed it. It comes – talking to an experienced man is something; it’s not the same as having it but it’s better than not. PAUL CUMMINGS: Is this the experience of just living, or the experience of working in photography? PAUL CUMMINGS: Everything. The total combination. Yes. WALKER EVANS: Well, if you’re sixty-five years old and you’ve tested a whole lot of things and a lot of them have gone wrong you know that certain things have value and you know where the value is likely to be found by experience. When you’re only thirty you don’t know enough to be sure what you’re doing. Or particularly if you’re only twenty. I can give a very good example of that: That boy working for the Yale News went to that show at Yale and he missed the point. He would say, “This is wonderful photography. Evans is at his worst when he tried to do a gimmick, which is putting up these signs.” Well, that’s missing the whole point. That isn’t gimmick at all. That’s the nugget of that show. PAUL CUMMINGS: How would you describe the point of using those? WALKER EVANS: I did when I’m talking about that sentence in Proust, that sentence in the Proust review. The psychological truth in the relation between the documentary and the fictional is suggested. I can’t name it myself but one is calling attention to the fact that there is a psychological truth there. And Proust did that, pointed that out. He was one of the first writers who did consciously. Now I think Tolstoy brought it up , maybe Pushkin before him, in literature when he dropped the literacy and began to write the vernacular language instead of the literacy language. And that gave forth to what is called both Naturalism and Realism. These are all old words but they didn’t exist before those men. I’m told as a matter of literary history that Tolstoy got it out of Pushkin but to me Tolstoy was the first man that spelled it out. He wasn’t writing verse for one thing; he was writing really almost journalistic prose. War and Peace may be an historical novel but it’s just related as though it happened. WALKER EVANS: Aesthetically they both justified and vindicated even to myself. And that is that forty years ago when I was going around with a camera I was doing some things that I myself thought were too plain to be works of art. I began to wonder – I knew I was an artist or wanted to be one – but I was wondering whether I really was an artist. I was doing such ordinary things that I could feel the difference. But I didn’t have any support. Most people would look at those things and say, “Well, that’s nothing. What did you do that for? That’s just a wreck of a car or a wreck of a man. That’s nothing. That isn’t art.” They don’t say that anymore. WALKER EVANS: Yes – prevailed. PAUL CUMMINGS: What do you think has happened? Just the fact that you’ve been able to continue doing this and people have looked and looked and looked and finally they can see? 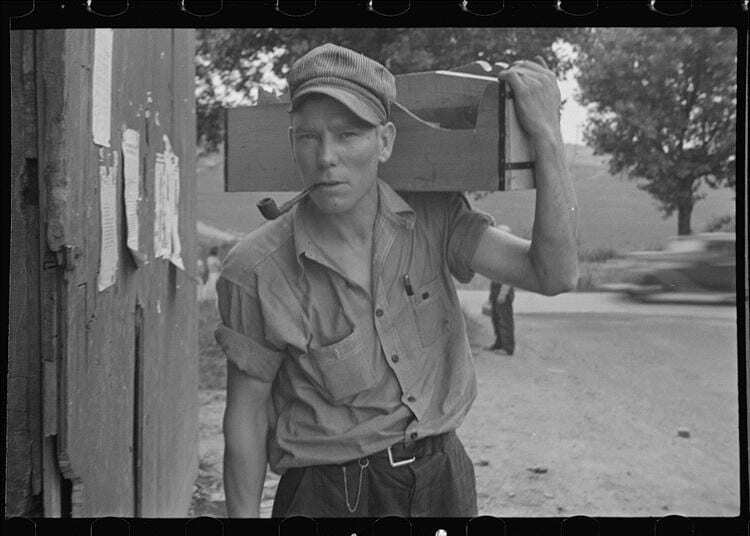 WALKER EVANS: Oh, I think what happened was that I was working beyond my means, beyond myself. I didn’t know that I was as valuable as I was. I was led to believe that artists are something like mediums anyway, many of them. Many of them don’t know what they’re doing. PAUL CUMMINGS: It drives them more than otherwise. WALKER EVANS: Yes. Sure. I’m an instance of that. And that’s wonderful to me to think that such a thing is true. PAUL CUMMINGS: But do you feel a change in your work, or a sense of continuity or development? Or does it just keep happening? WALKER EVANS: It keeps happening. I don’t think very much about it. I’ve reached a point now, as a body of work is sometimes written about, I’m always amazed at what people read into it. And I don’t know that I trust the people that write it. But I’m glad to see it taken seriously. I wouldn’t take it apart that way. PAUL CUMMINGS: Is there anyone who’s written about your work that you agree with or find provocative? WALKER EVANS: Sure. Lincoln Kirstein was very prophetic. His 1938 essay put me down prophetically. As I say, he’s a brilliant mind, a brilliant man. He foresaw what I was doing. In fact, he taught me a lot about what I was doing. WALKER EVANS: Just by seeing and articulating. He’s a very articulate man with a wonderful eye. PAUL CUMMINGS: Has there been anyone subsequent to him, any recent people who -? WALKER EVANS: Agee was very good about me. Very perceptive. And about photography. George Leighton who dropped dead was an unknown… He was a Harper’s magazine editor. He had a great eye for photography. He knew what was good. Although he wasn’t sure about what was art, he knew what was true. PAUL CUMMINGS: How do you differentiate there? WALKER EVANS: George Leighton was a brilliantly penetrating fellow and a marvelous photographic editor. But I always kidded him for what I call phillistinism. I’d say to him, “You don’t know a poem when you see one.” He used to be very good but he wouldn’t see the poetry in a thing of mine. WALKER EVANS: It has yet to have its critical master who sets up an unassailable scale of values. Sparks fly off so they like Kirstein’s book. He doesn’t do a body of thought through criticism. It doesn’t exist they way it does for music and literature and painting. PAUL CUMMINGS: Do you think that will happen? WALKER EVANS: Well, it’s about time, yes. It might happen right now. I wonder. It may not. If it’s going to, now is the time. Well, something is brewing. And a whole wave of these talented kids are doing it for love. Somebody is going to…. I’ve met a few students who might be articulate about it, too. PAUL CUMMINGS: It’s interesting that, you know, frequently you refer to love, and one gets the feeling that affection is more important than business in the sense of the attitude toward one’s work. Is that true with you? WALKER EVANS: Sure. Oh, gosh, yes. WALKER EVANS: No, no, not at all. Nor am I forever making it a business. I think that would go against what I’m trying to do. PAUL CUMMINGS: Do you think there have been very good photographers who have gotten lost in that? WALKER EVANS: Oh, yes. I think so. I think it’s very dangerous for anybody. Even Cartier who has a bit of poetry, every once in a while gets lost in journalism and the business of setting up one of those associations of journalists whose services are for sale and all that. WALKER EVANS: Yes, Magnum. I would never go near anything like that. Yes, he has to make a living and I don’t disdain that. I think you should. PAUL CUMMINGS: Do you think that the life that people were living in the 1930s was a great influence on you and how you see things? Do you think that that period in history affected your way of looking in a sense so starkly and directly? WALKER EVANS: I wonder. I don’t know. It might. But I just don’t know whether that can be answered clearly. There’s a tangential remark to be made, though, and that is: I think that a depression is rather good for some kinds of artists; me included. It took away the temptation to be commercial and go into business. There wasn’t any business. Time Incorporated was the only place you could go and I didn’t go there during the Depression. Some of my friends did. PAUL CUMMINGS: So you think that that time gave you the opportunity to think more about the aesthetics of –? WALKER EVANS: Yes. It gave you leisure. There just was leisure that didn’t exist for certain individuals in boom times. Weaker kinds of people get sucked into booms so that’s all they do. They just boom along. They’re in it. There’s a detachment that an artist mush have. PAUL CUMMINGS: Are there any people besides the few like Agee and Crane and Kirstein who you think have been an influence on your work? WALKER EVANS: Personally? Oh, yes. Hemingway was a great influence on my work; quite aside from the fact that I knew him slightly. I was just thinking the other day how important he was. He isn’t so much now, as you know. These kids don’t read Hemingway. His whole personality, way of thinking and speaking stamped a lot of us. What about you? Didn’t he stamp you somewhat? PAUL CUMMINGS: No, I didn’t read him very much. WALKER EVANS: That’s interesting. How old are you? You told me once. WALKER EVANS: Yes. Oh, he was very important to us. He was our Byron; even more than that. WALKER EVANS: I don’t suppose Byron influenced a whole generation or established a style to the extent that Hemingway did. PAUL CUMMINGS: His style of living as well as working? WALKER EVANS: Yes, and acting and thinking. Fame was very bad for him. He couldn’t stand it really. WALKER EVANS: Oh, I think so. I think it tore him apart. I think it ruined him. He wasn’t seeking it even. Adulation is a handmaiden of fame. And fame is very bad – it’s bad for anybody – it was quite bad for him. It was ruinous for him. Instead of using it, it used him. He began to play a part, which is a false thing to do; even though it was his own part. PAUL CUMMINGS: It wasn’t, real? Posted in Documentary, Interviews and tagged Documentary Photography, Editors Pick Interview, Interview, Interview W, Popular Walker Evans, Social Critique, Walker Evans.